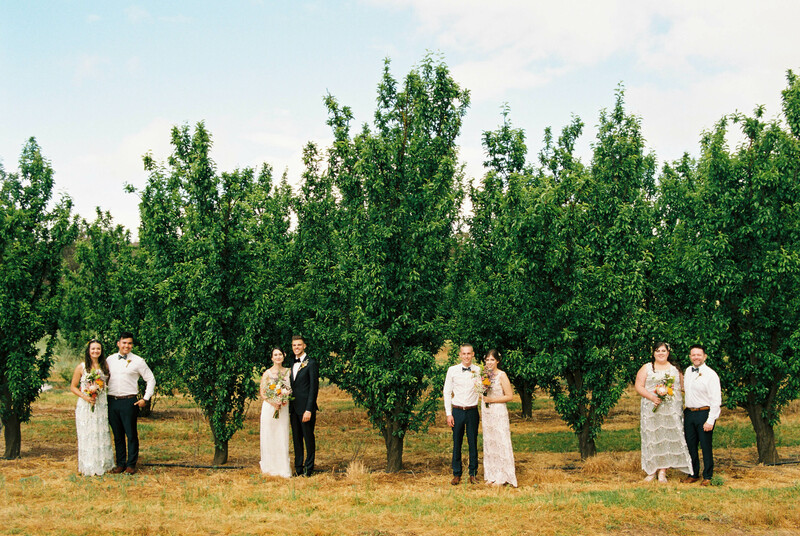 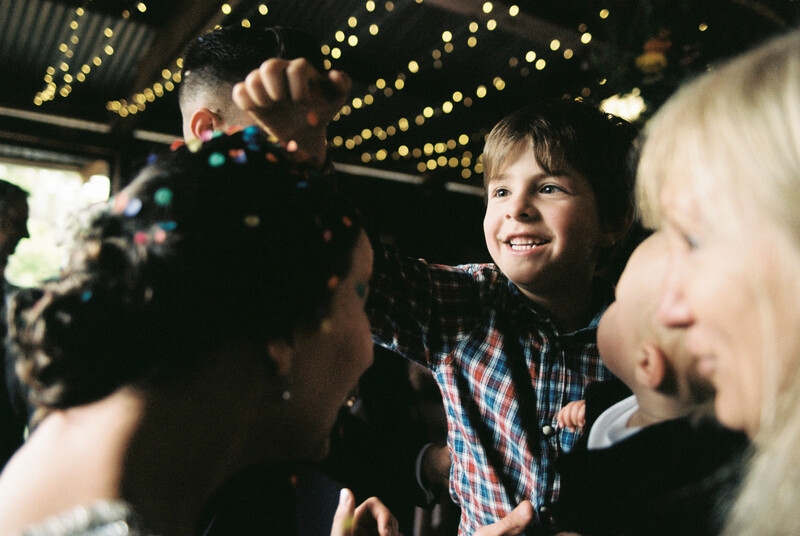 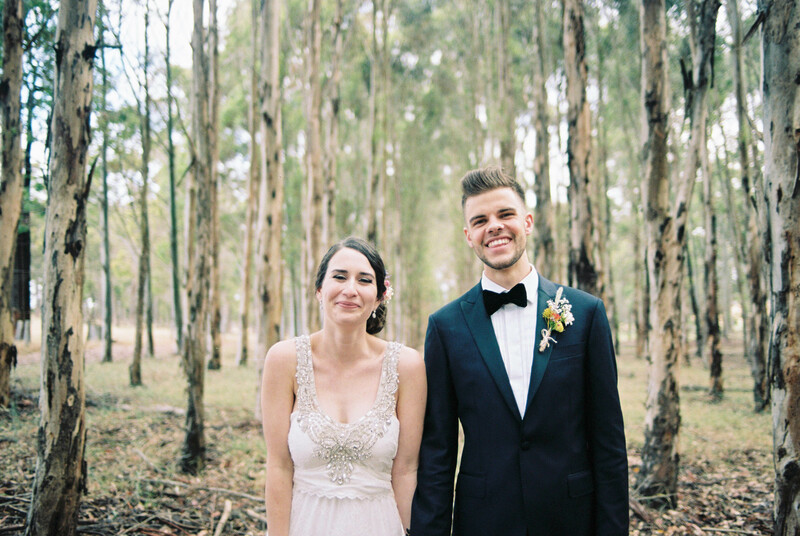 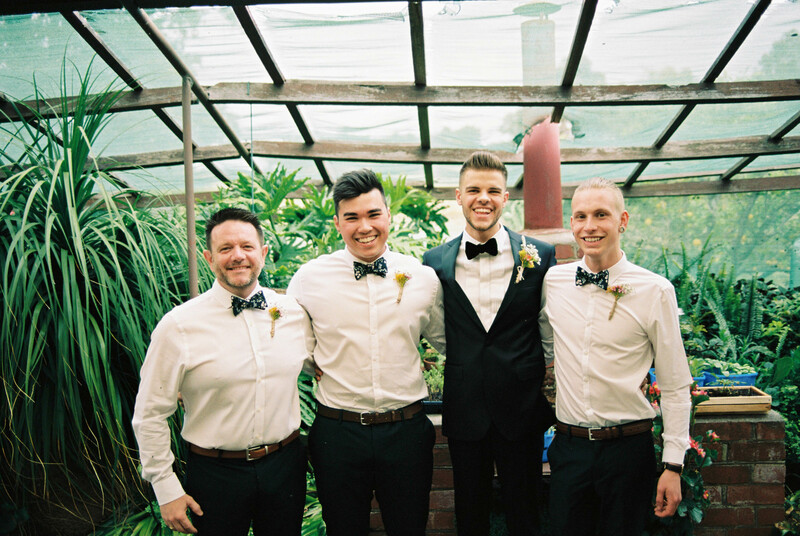 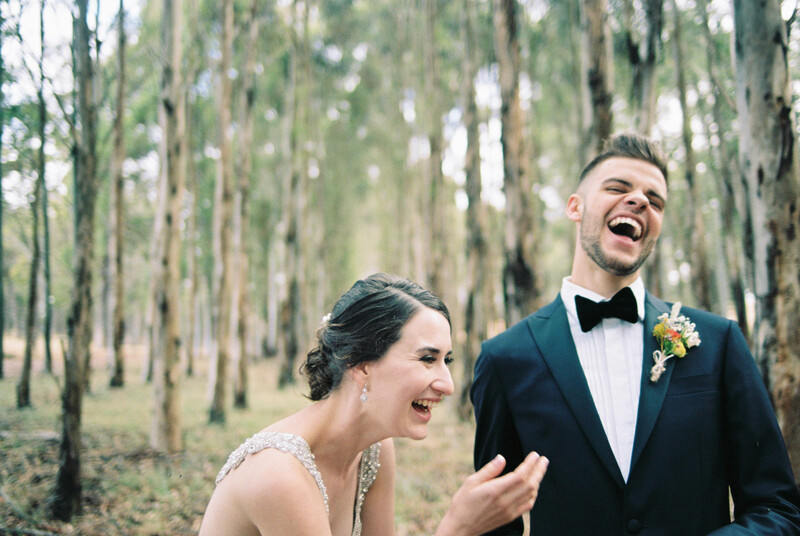 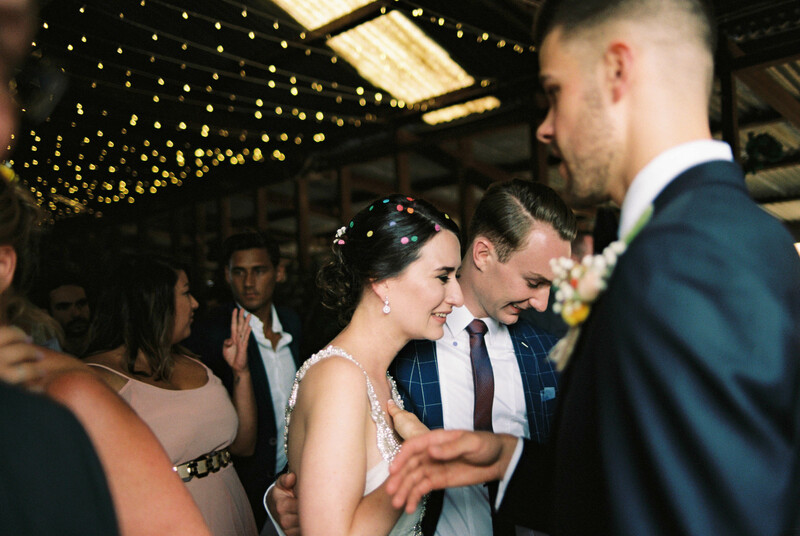 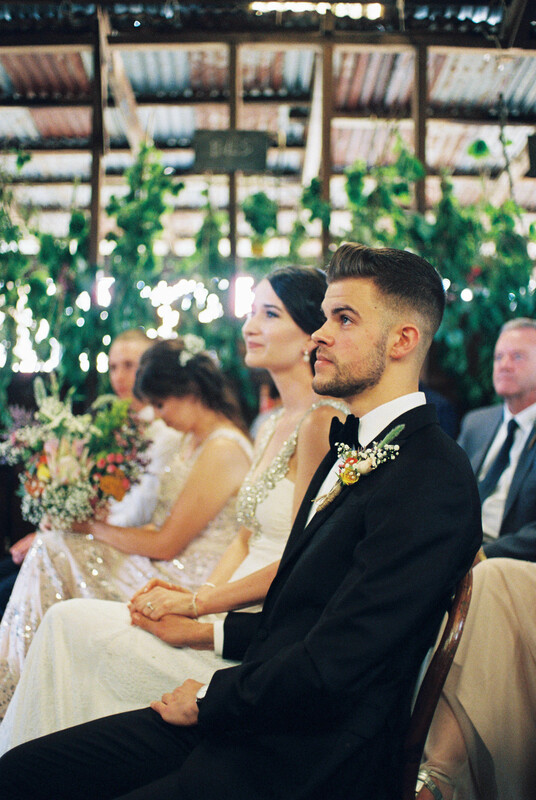 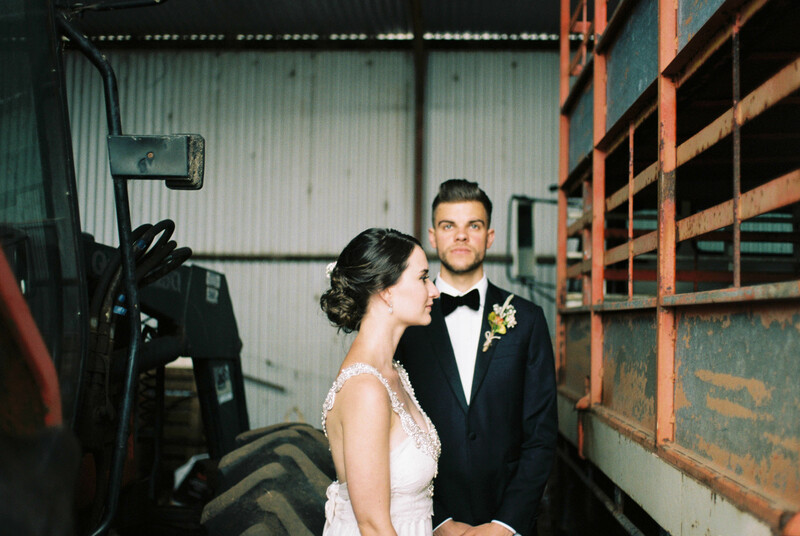 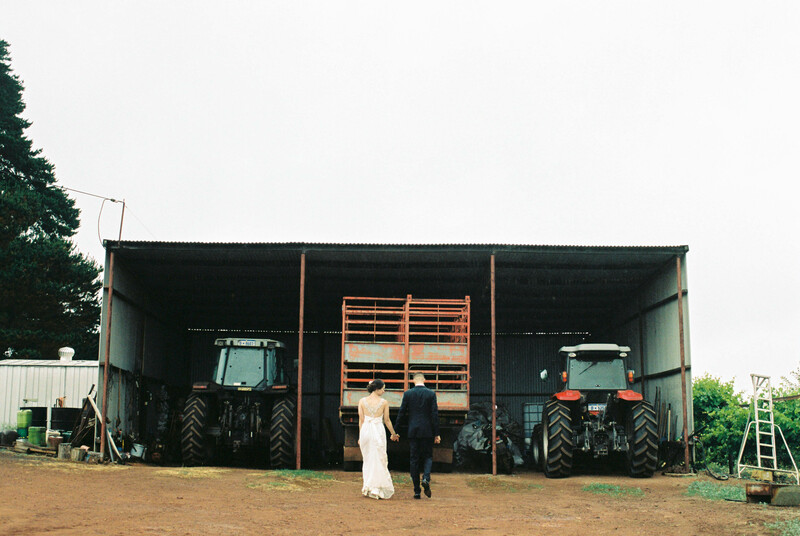 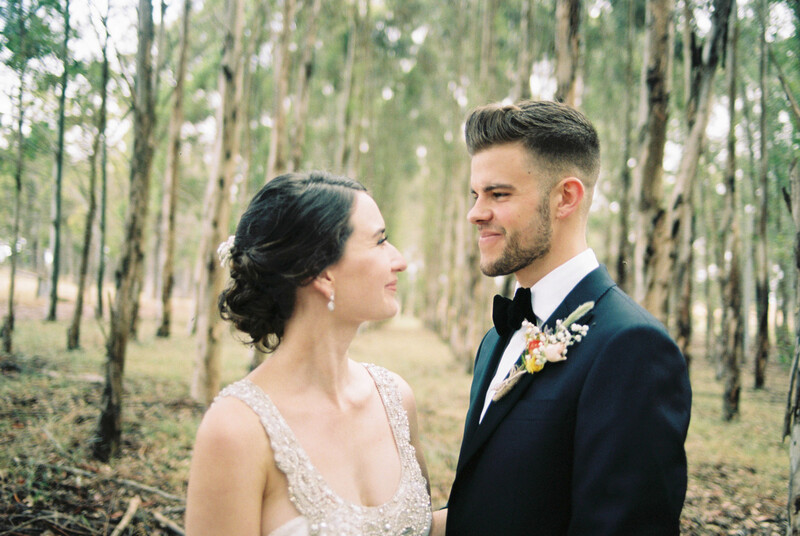 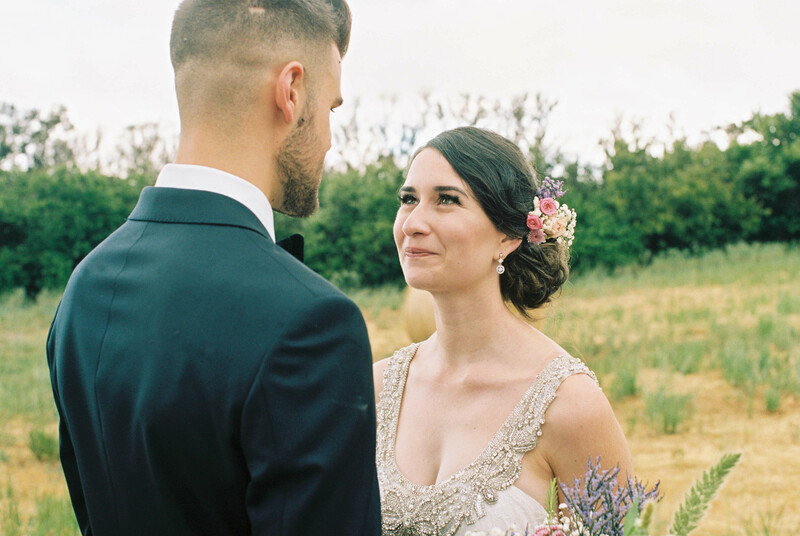 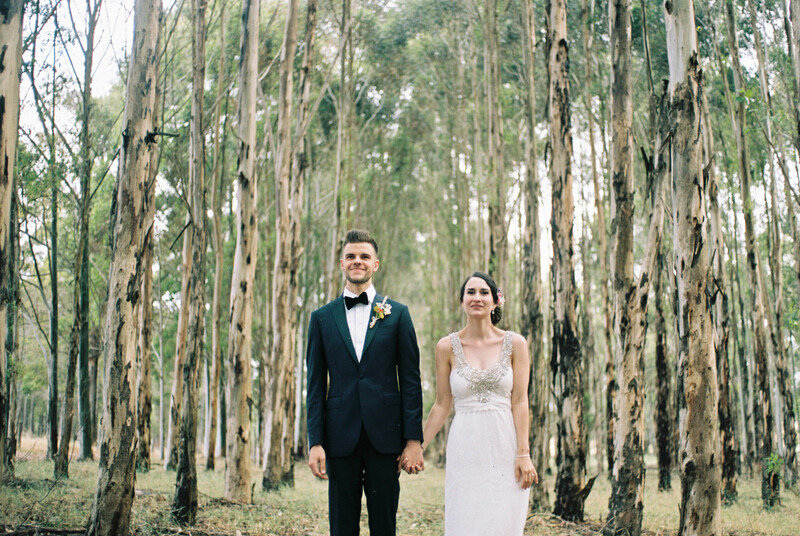 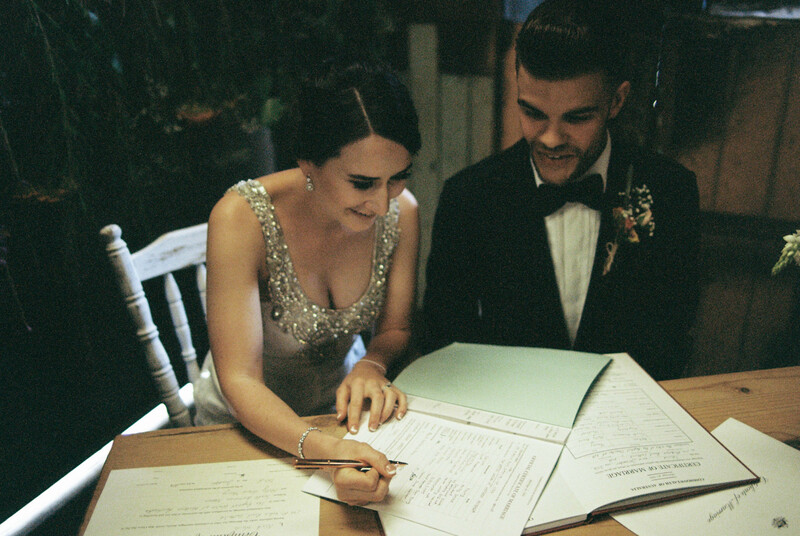 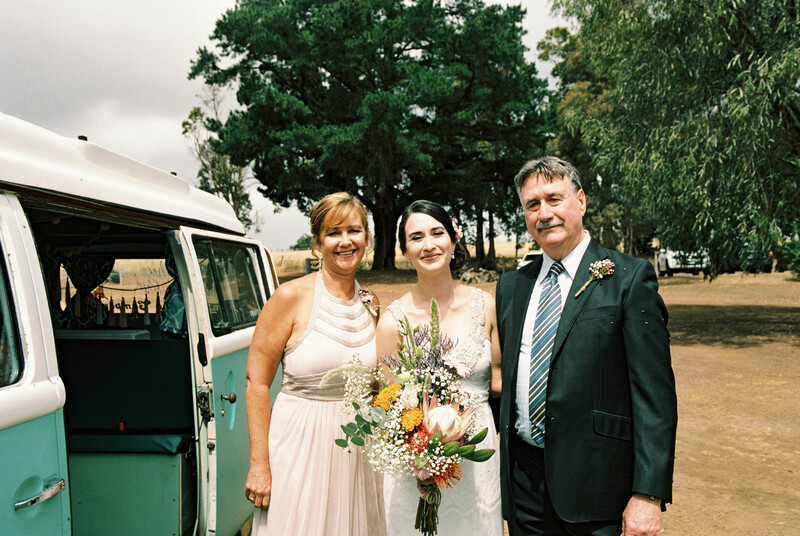 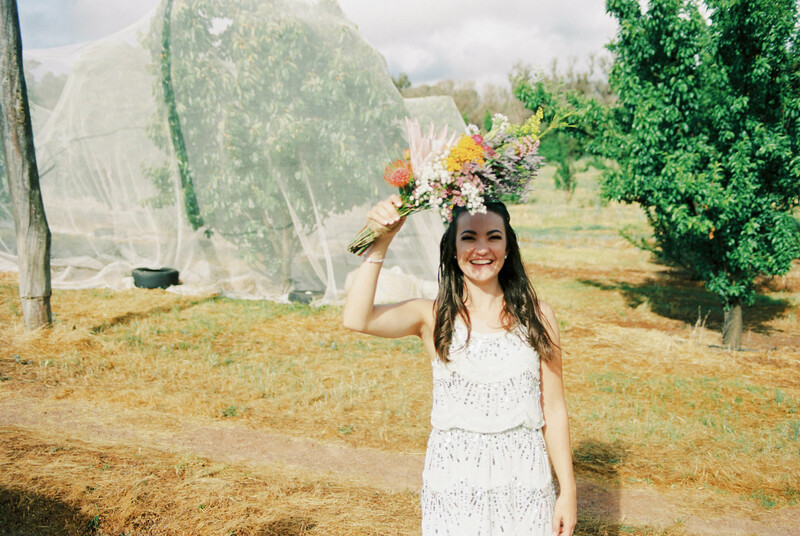 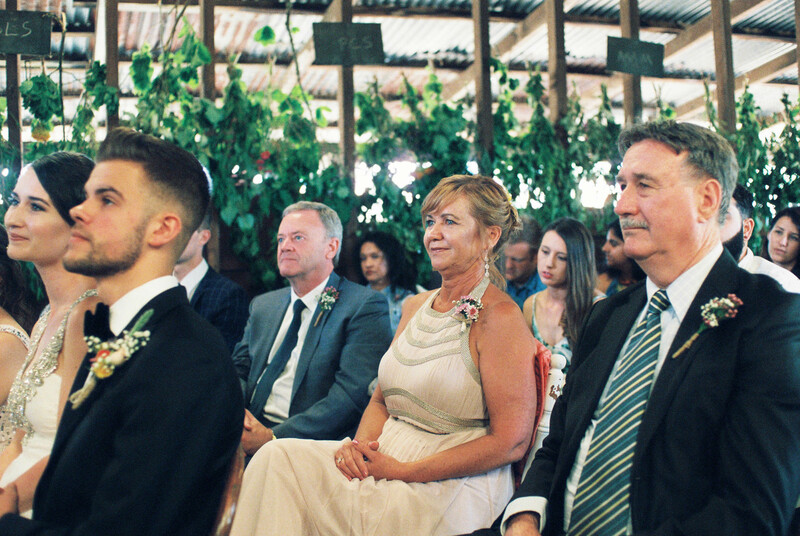 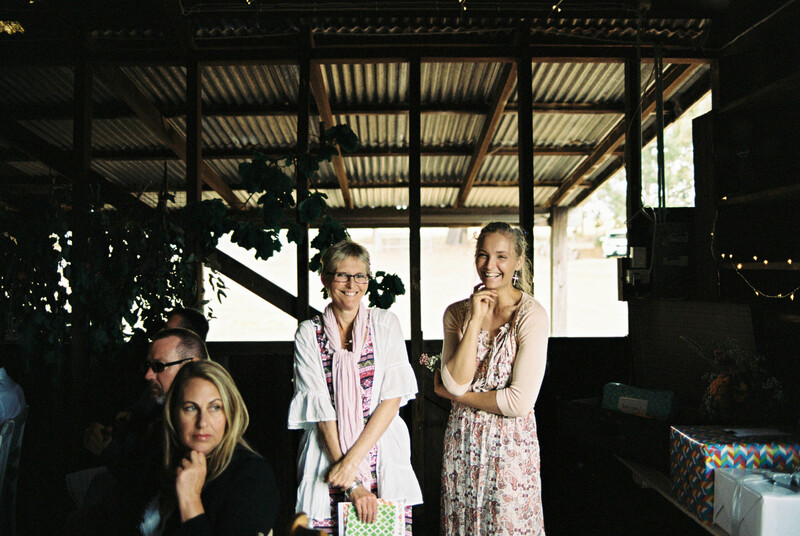 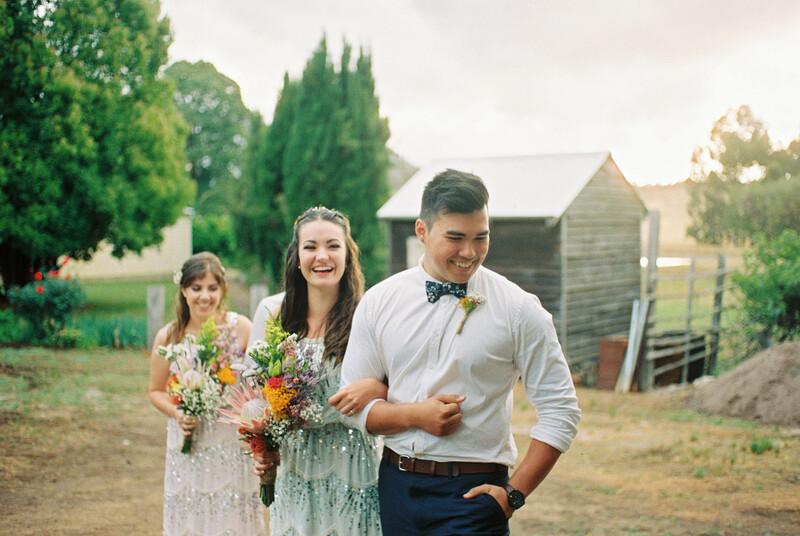 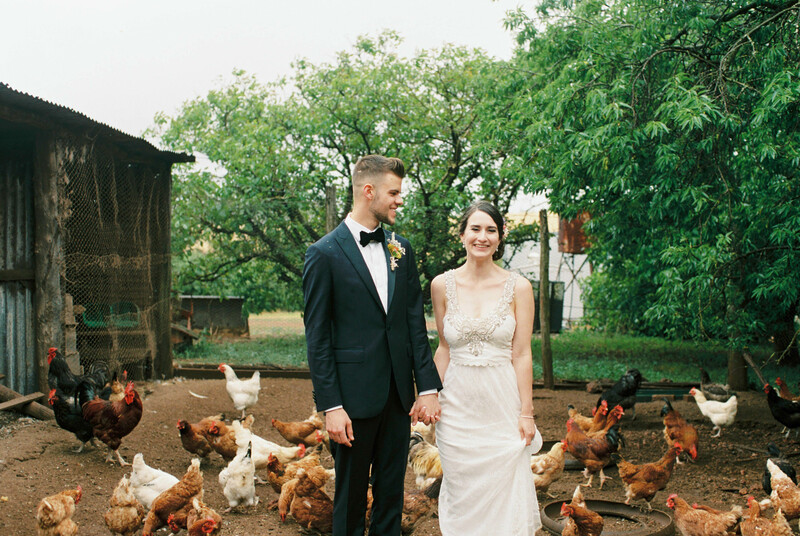 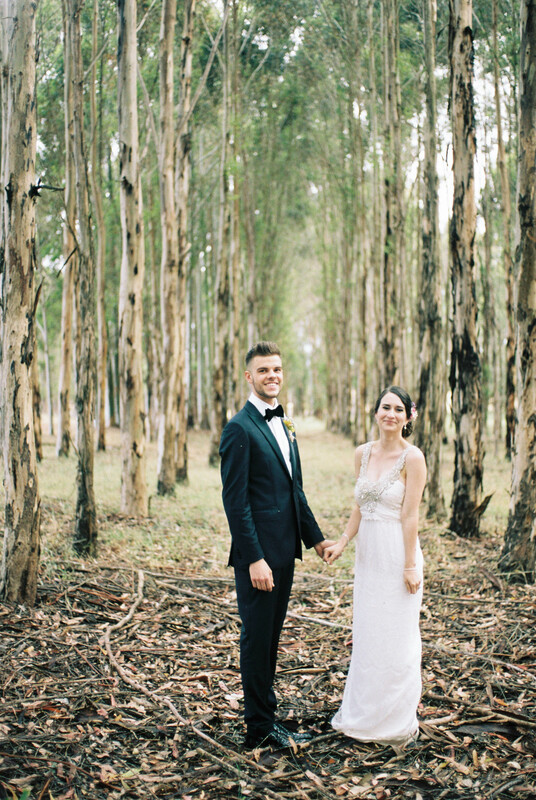 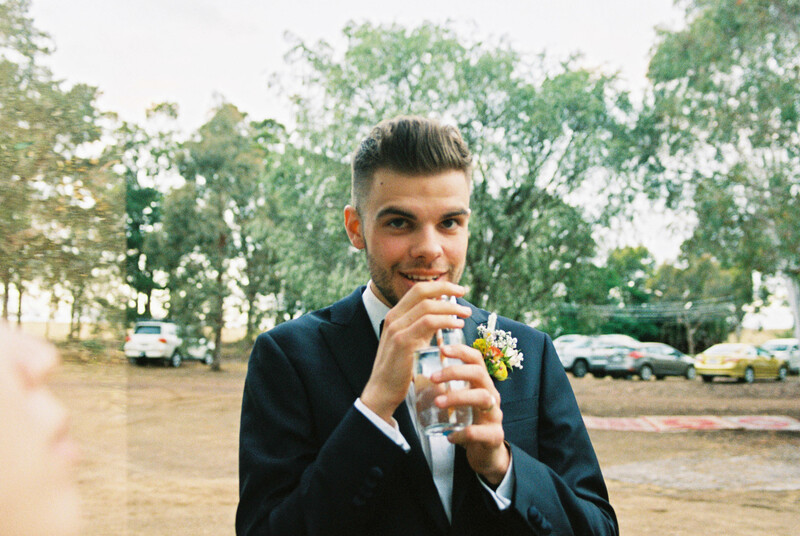 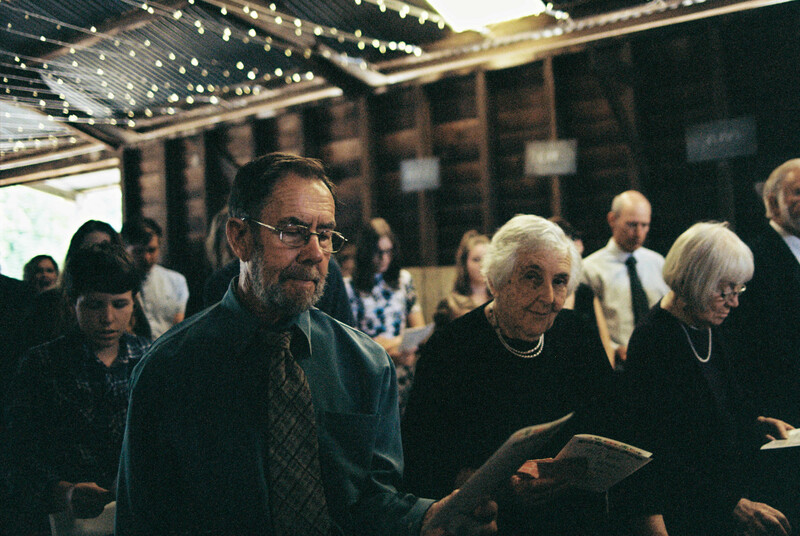 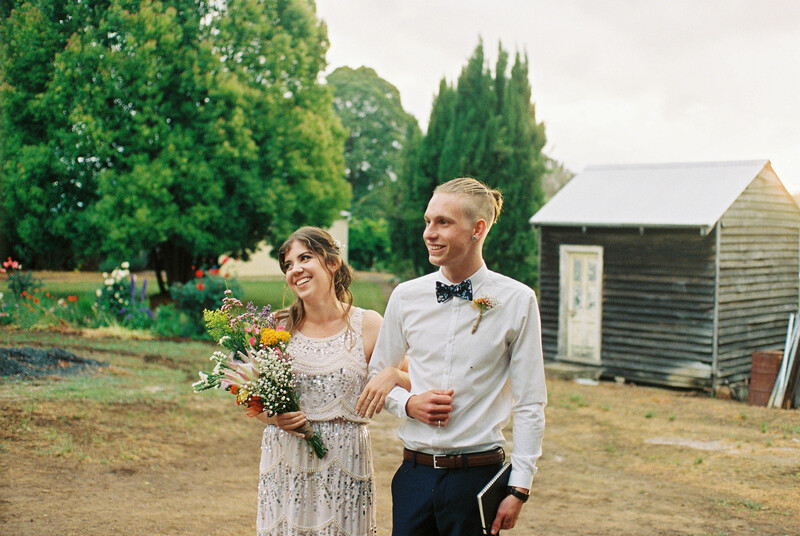 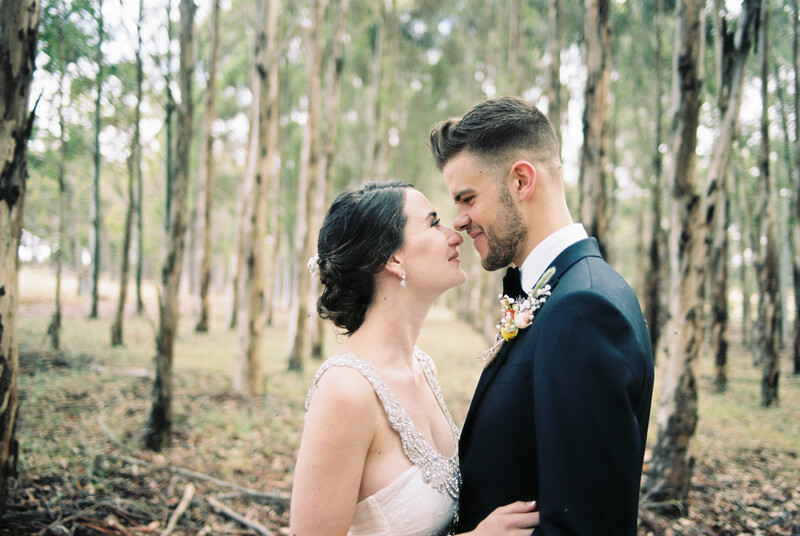 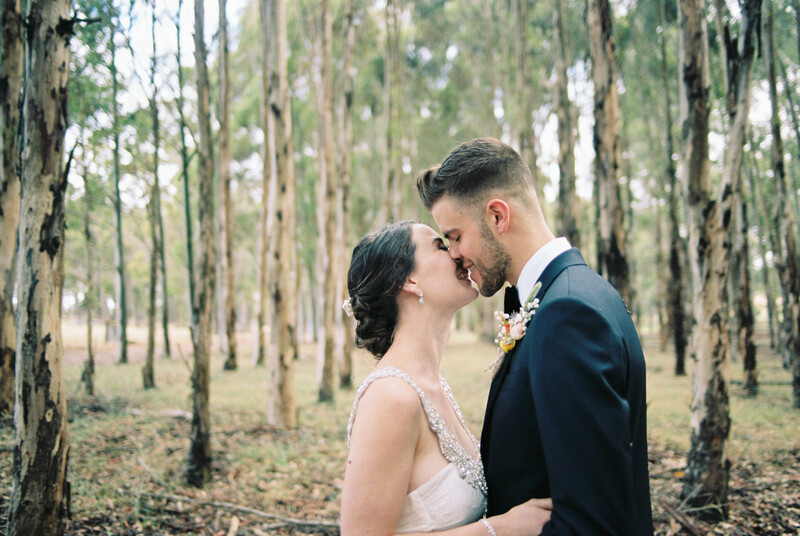 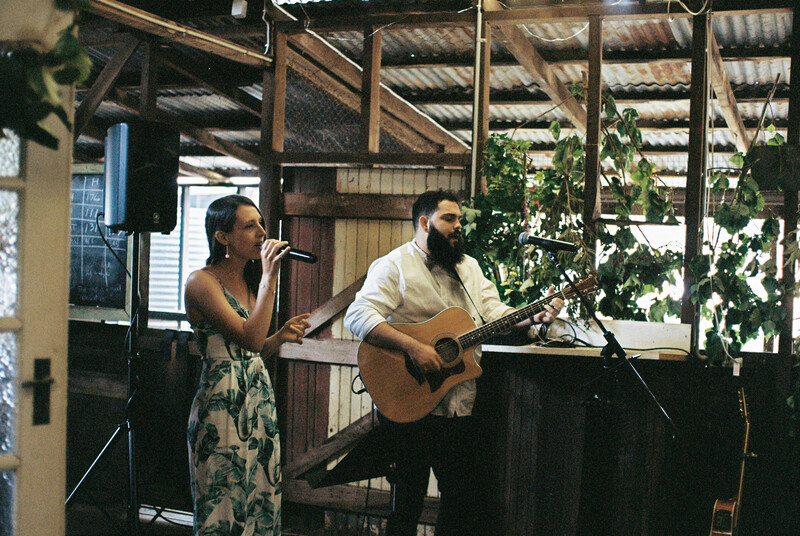 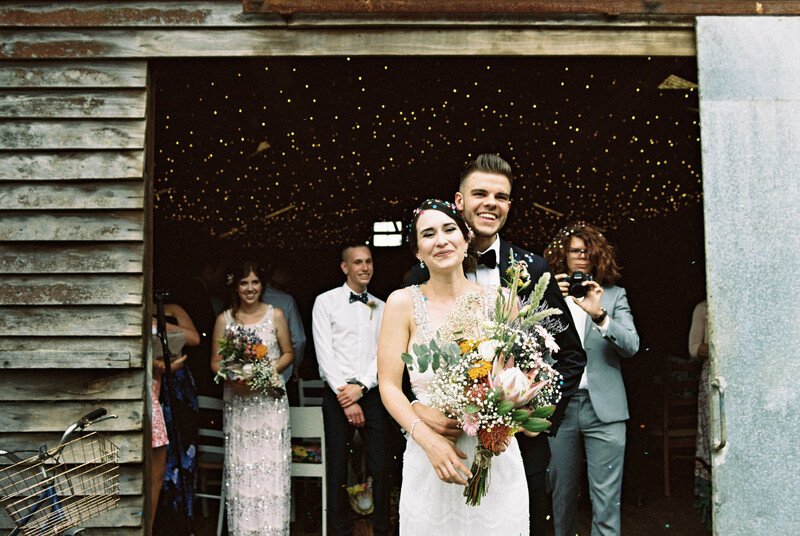 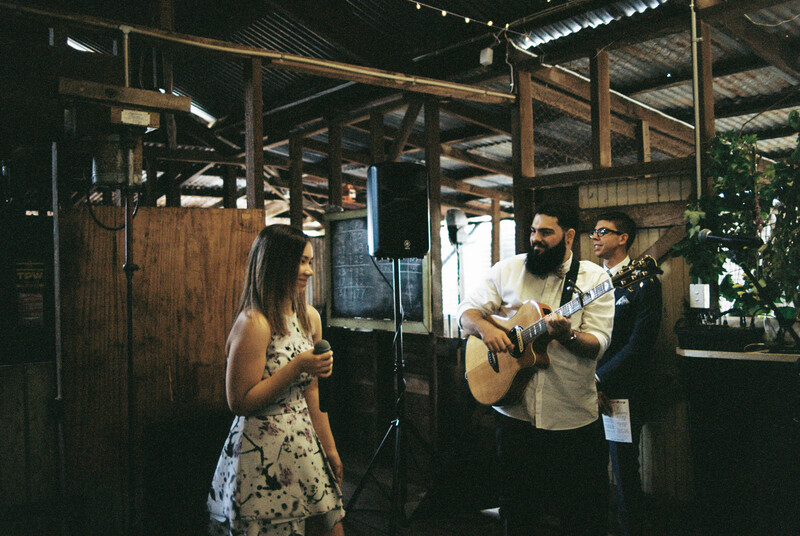 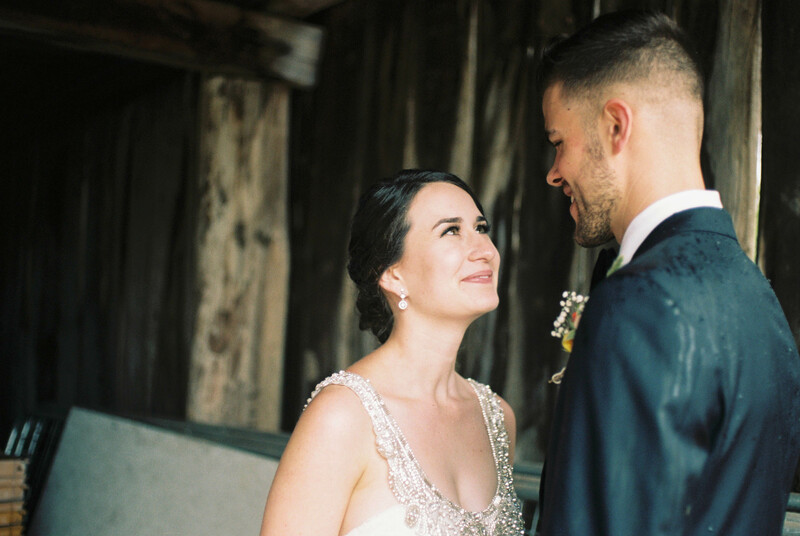 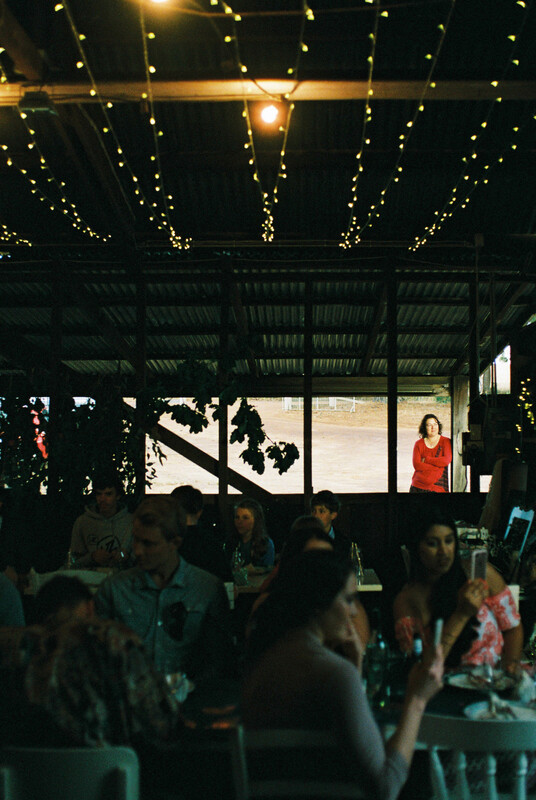 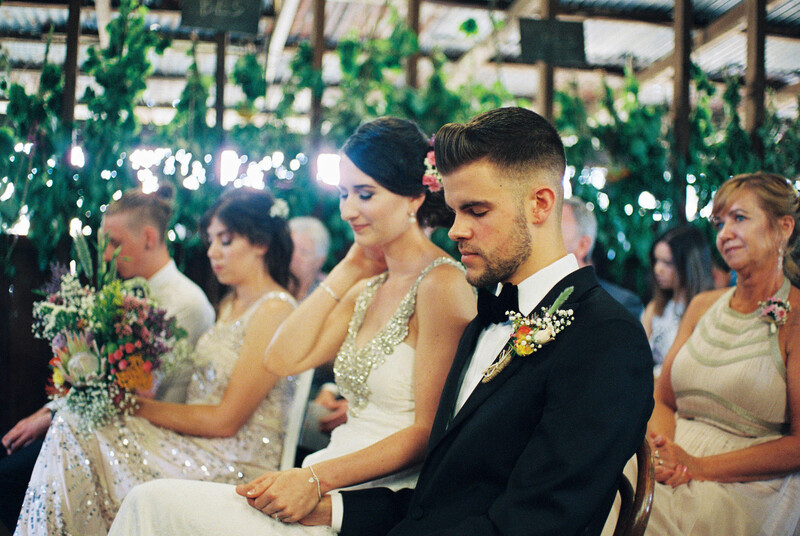 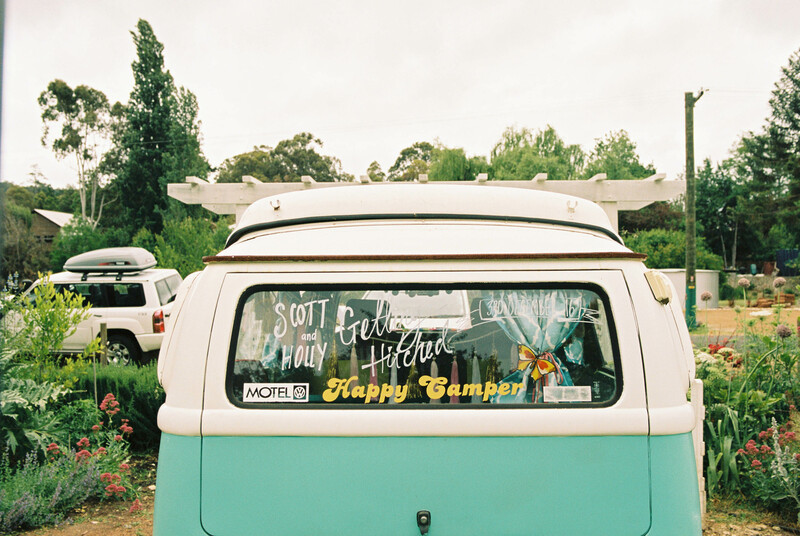 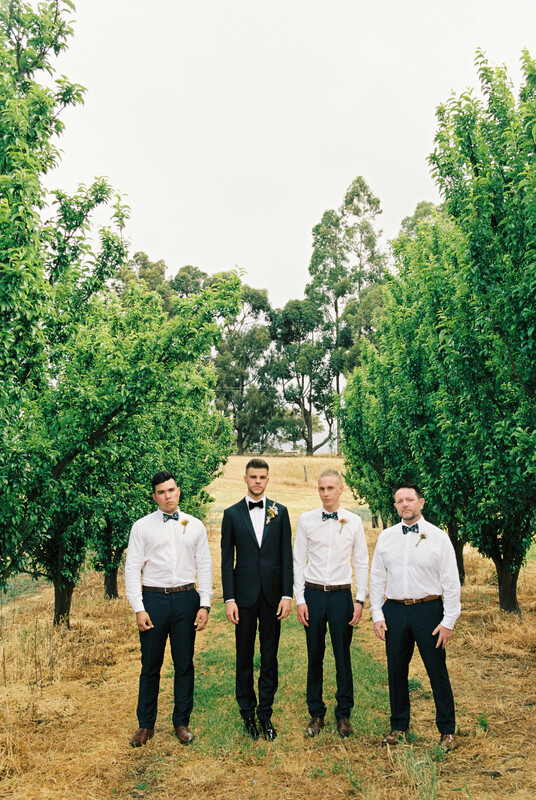 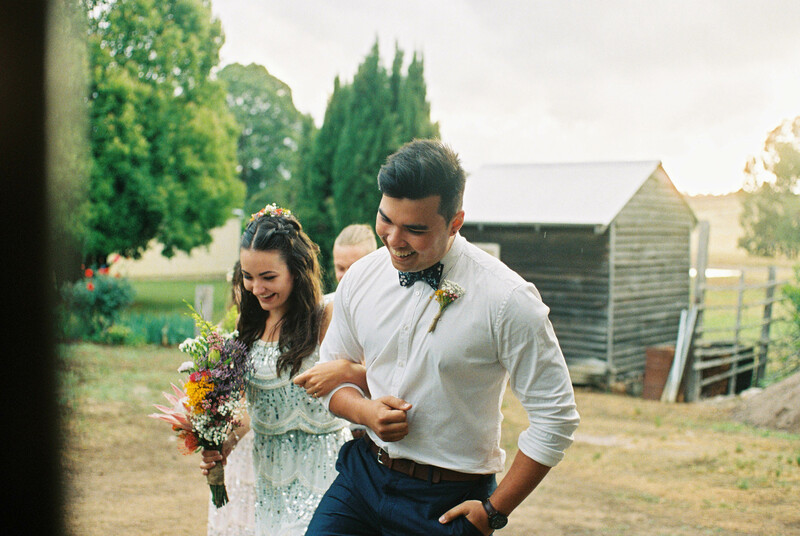 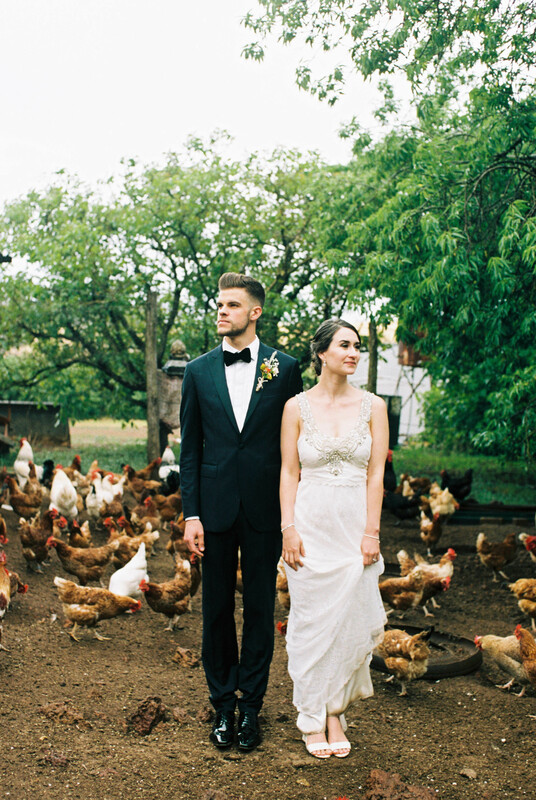 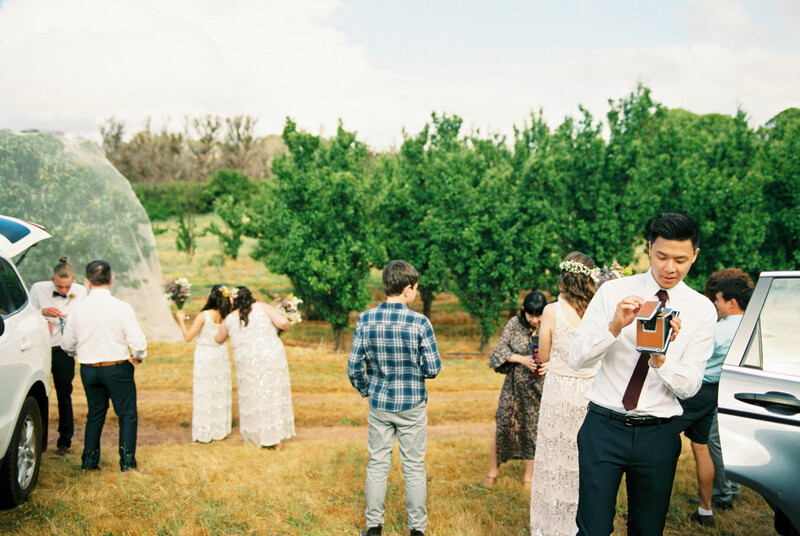 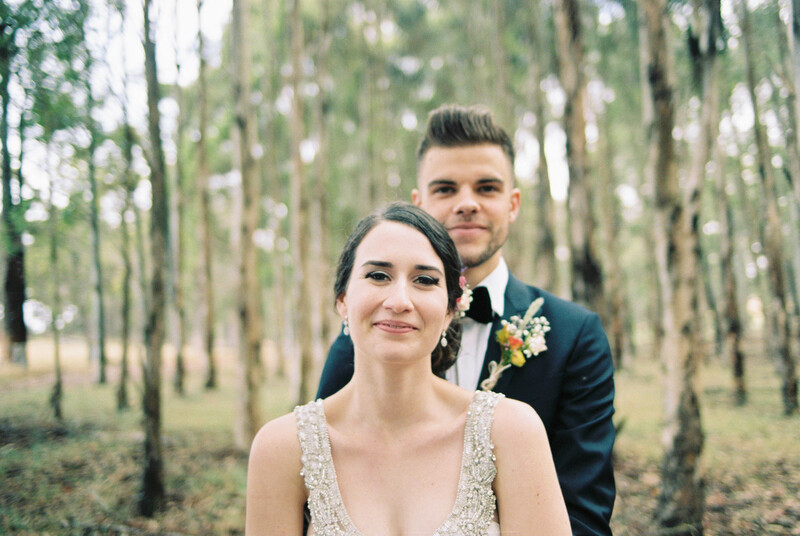 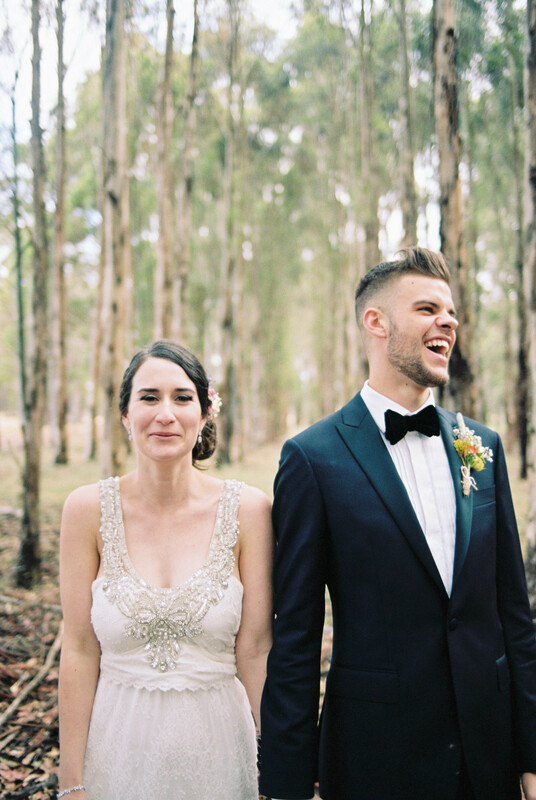 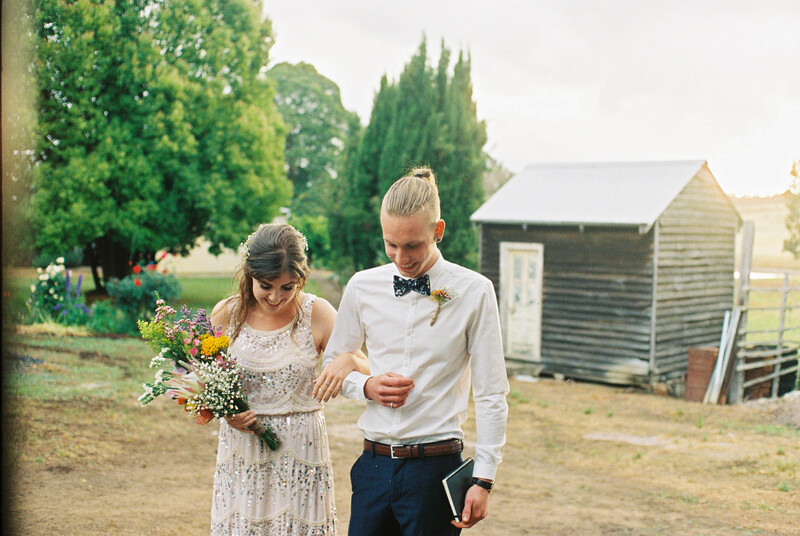 Where to start with Scott & Holly… the wedding of my little brother to his childhood sweetheart, on our Aunty & Uncle’s Farm in Bridgetown complete with runaway goats, the lingering smell of the barely finished shearing, and endless handmade touches from friends & family. 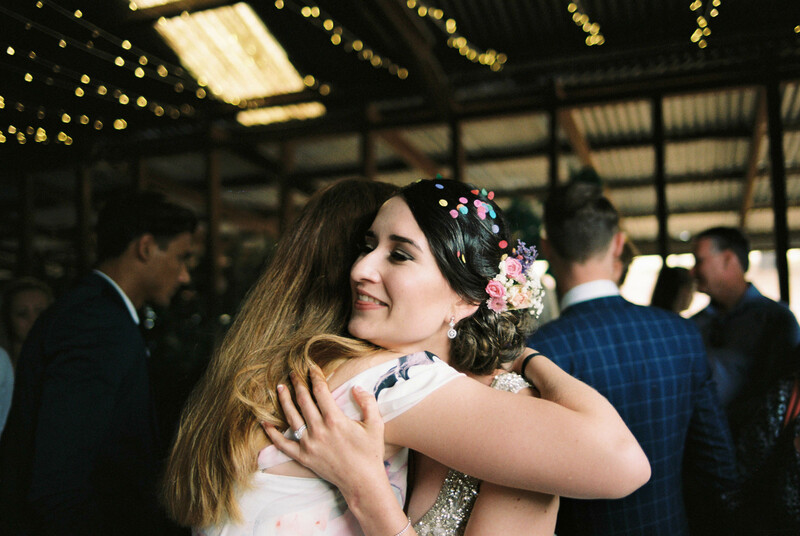 These two brilliant people met at the tender age of 9-years old, although when they became friends exactly is still a topic best left avoided.  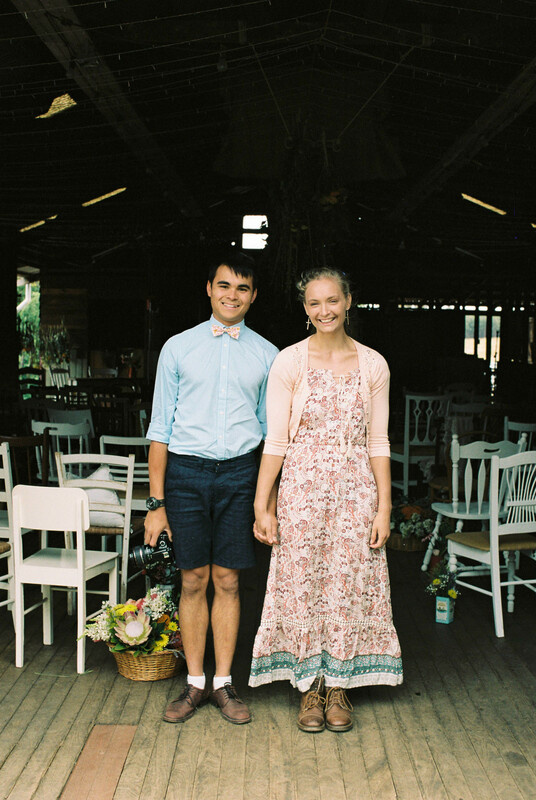 They began dating sometime around the time they turned 15 and from then on… well, everyone knew that that was that. 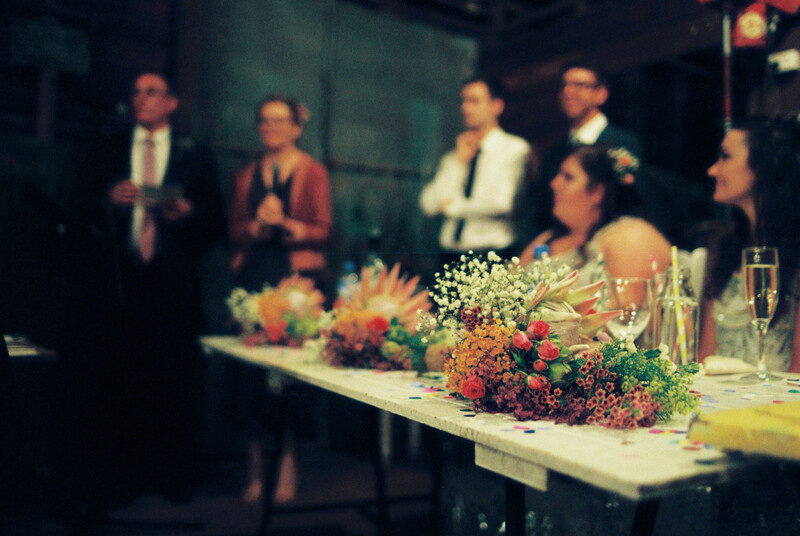 So when the wedding day finally rolled around, the excitement was palpable. 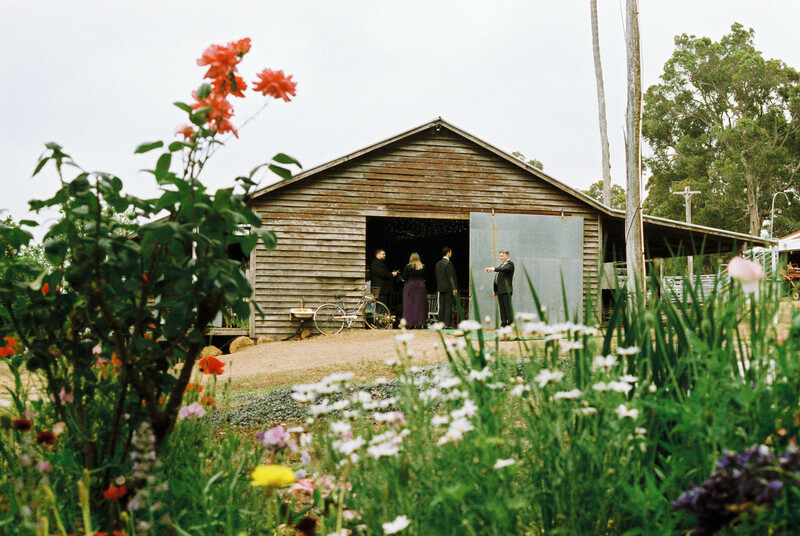 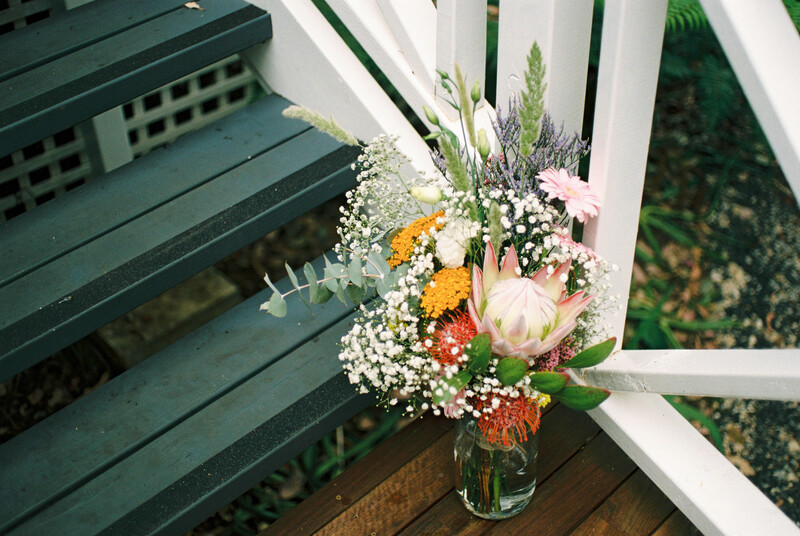 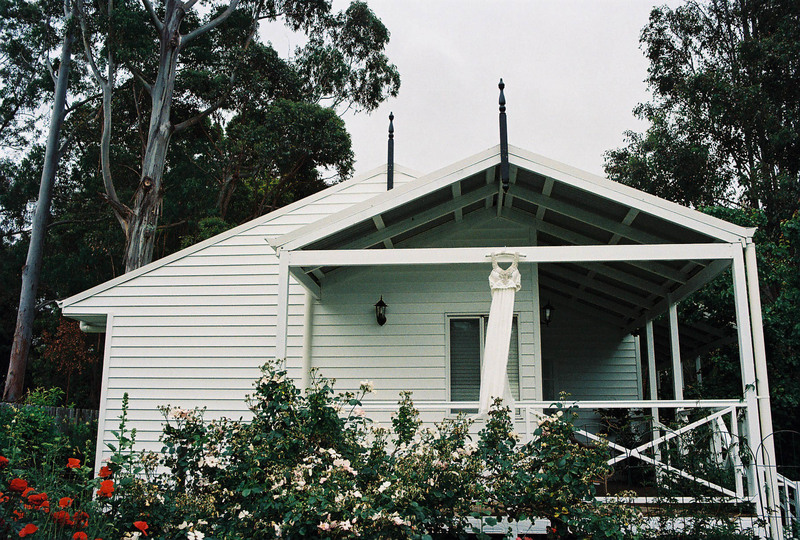 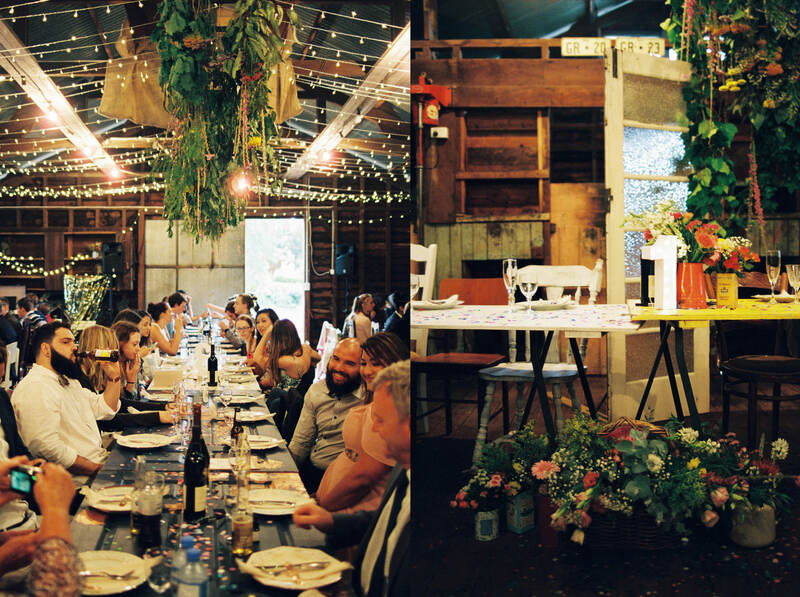 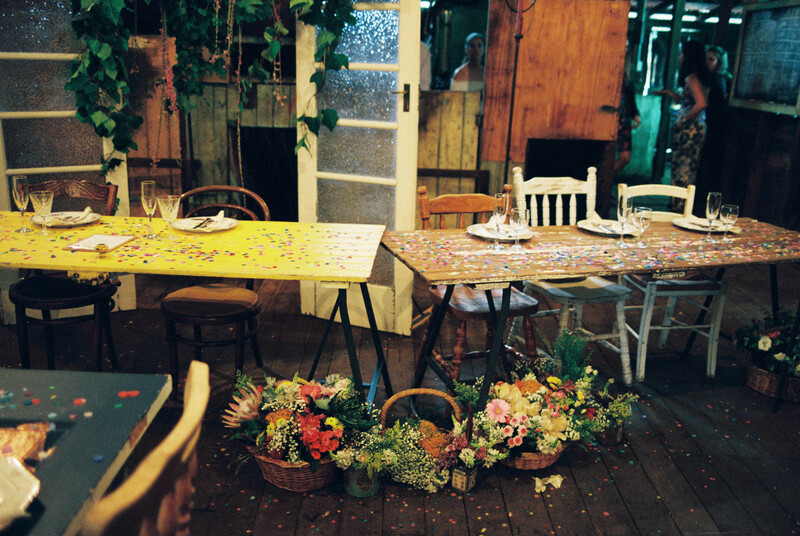 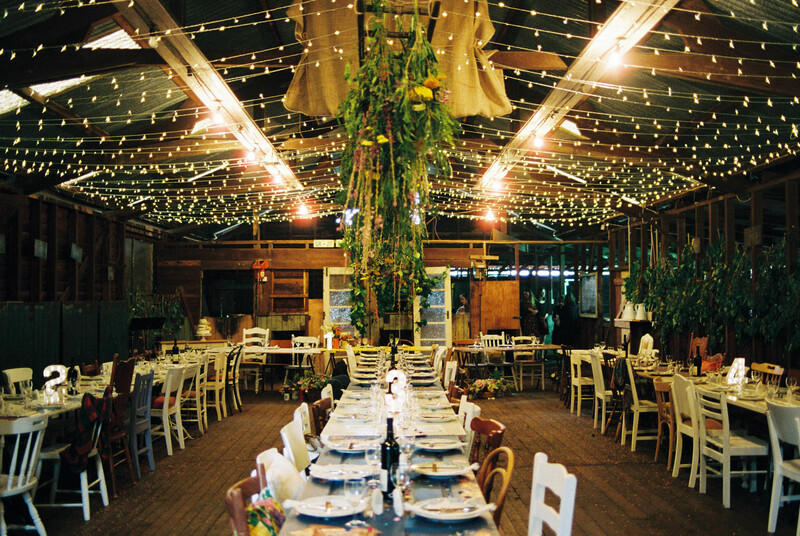 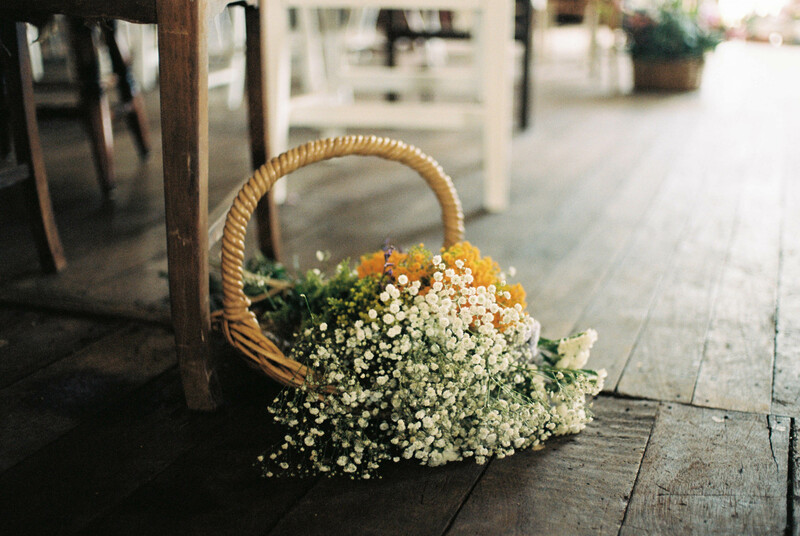 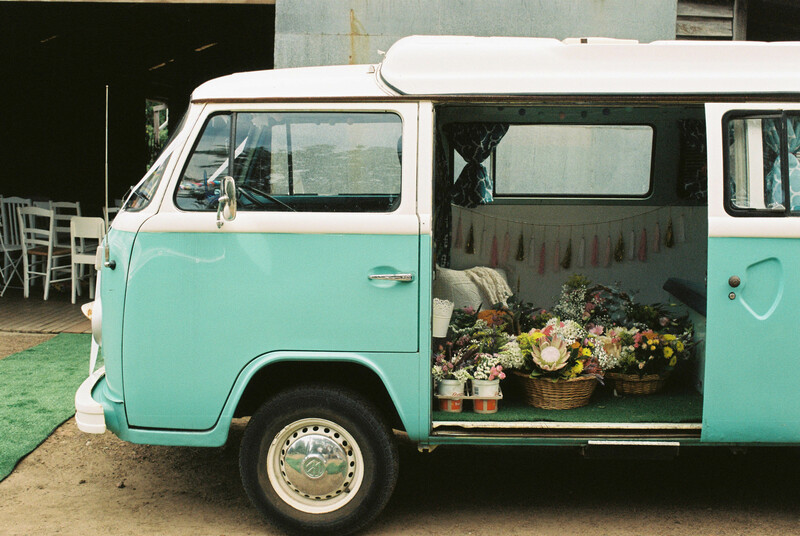 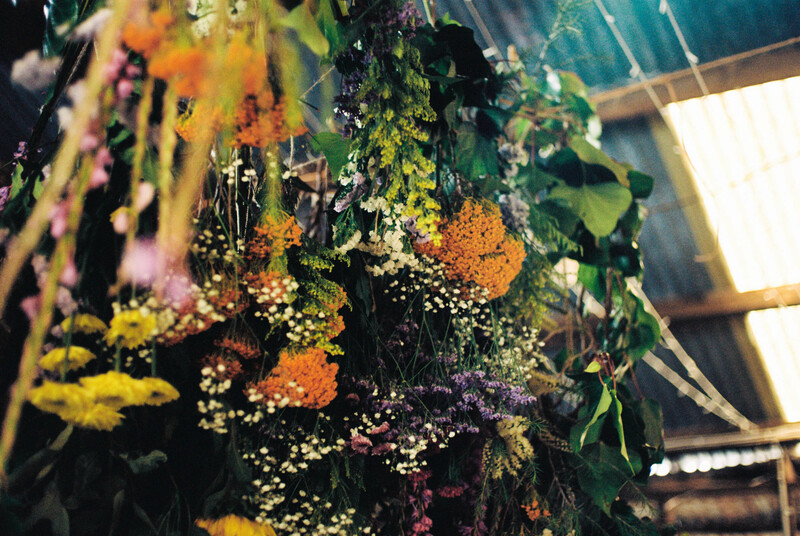 The garden, painstakingly prepared by our Aunty, bloomed in endless colours, while Kate from Daisies & Doors filled the shearing shed with foraged flowers & greenery hanging from vintage ladders and layered in old wheelbarrows or bicycle baskets found around the farm. 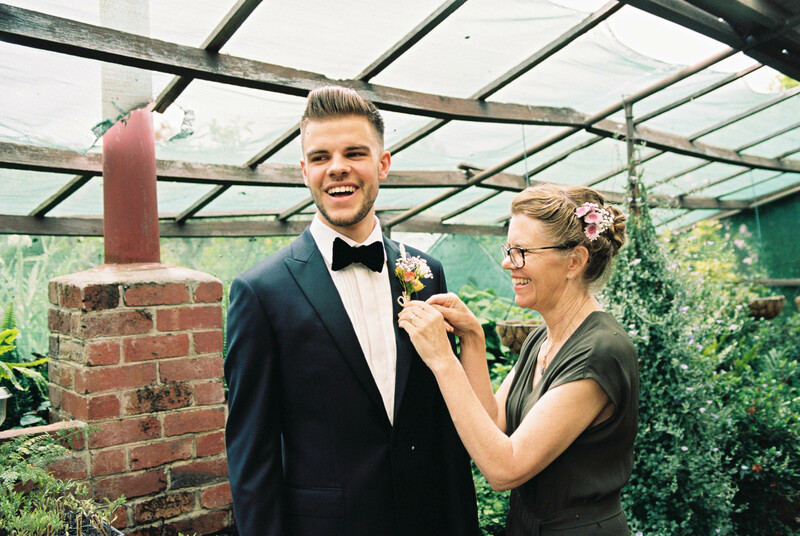 Our friend Abi sat hand drawing signs, another Aunty put final touches on her homemade Carrot Cake, Mum tied bowties she’d painted by hand, an epic search was had for the cufflinks handmade by Scotty’s childhood friend, Laurence. 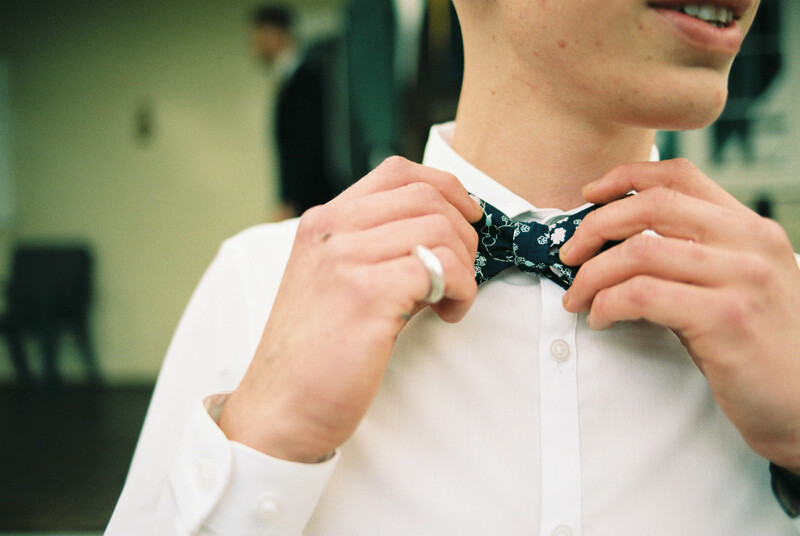 (Hint: always check the bottom of the suit’s garment bag!). 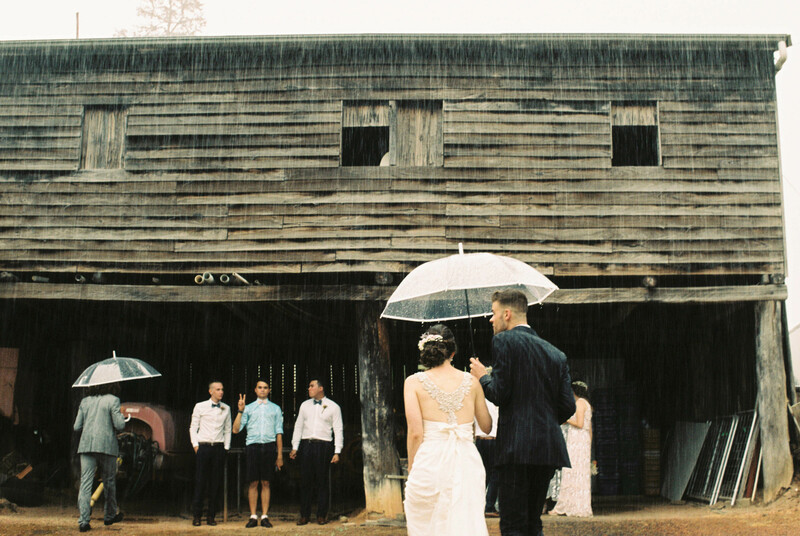 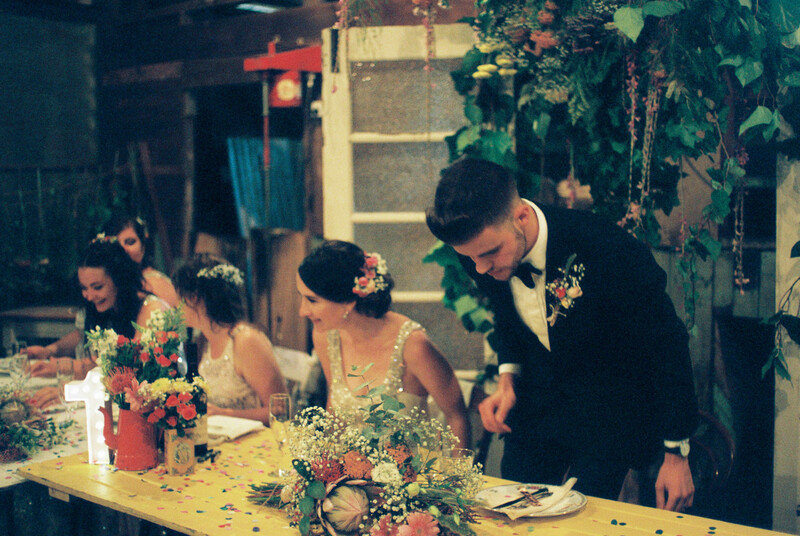 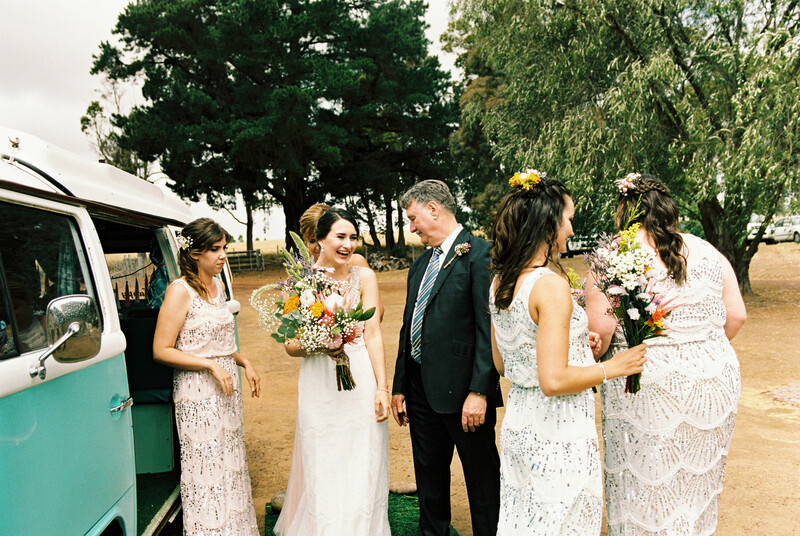 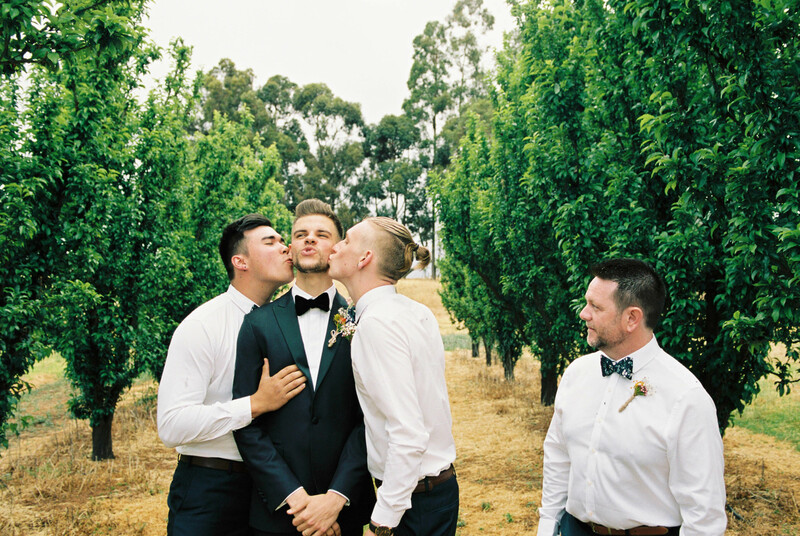 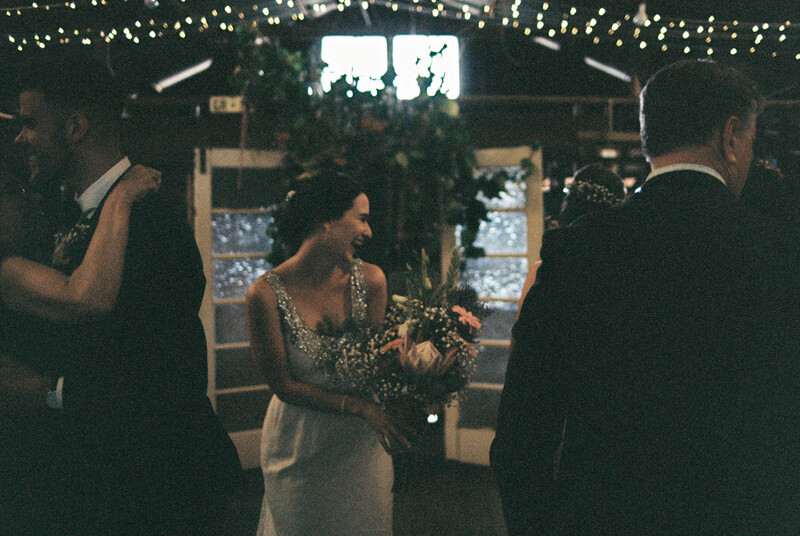 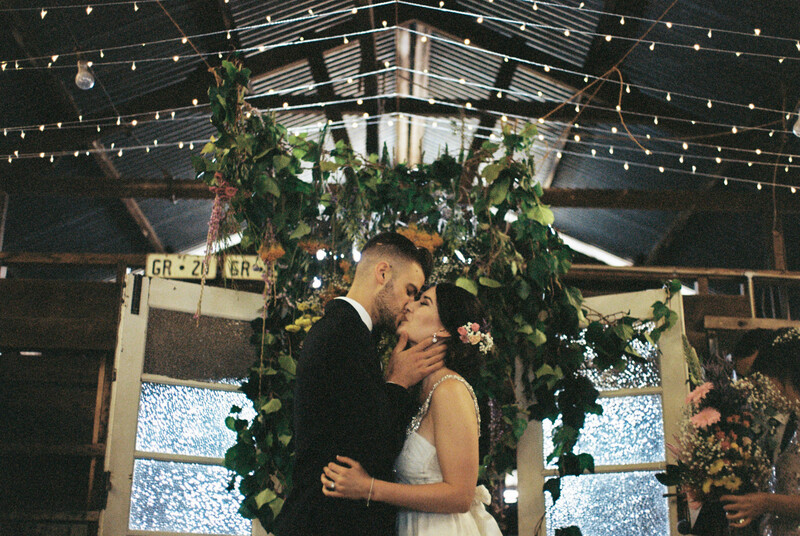 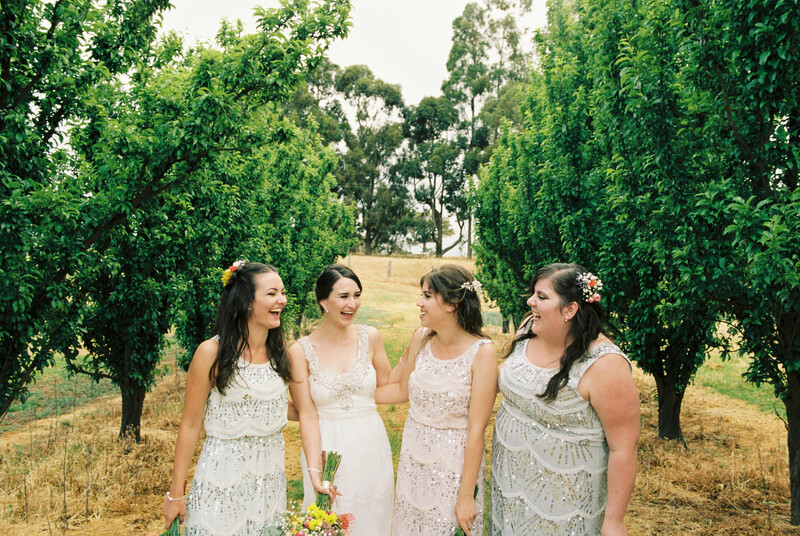 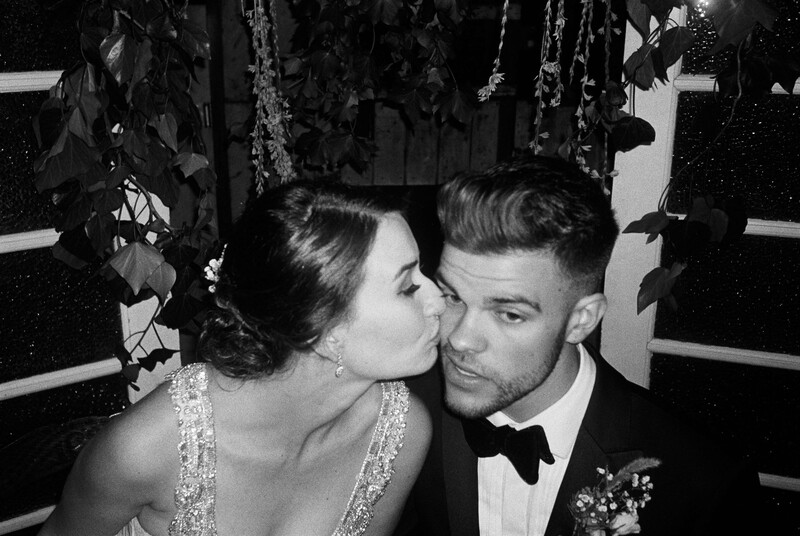 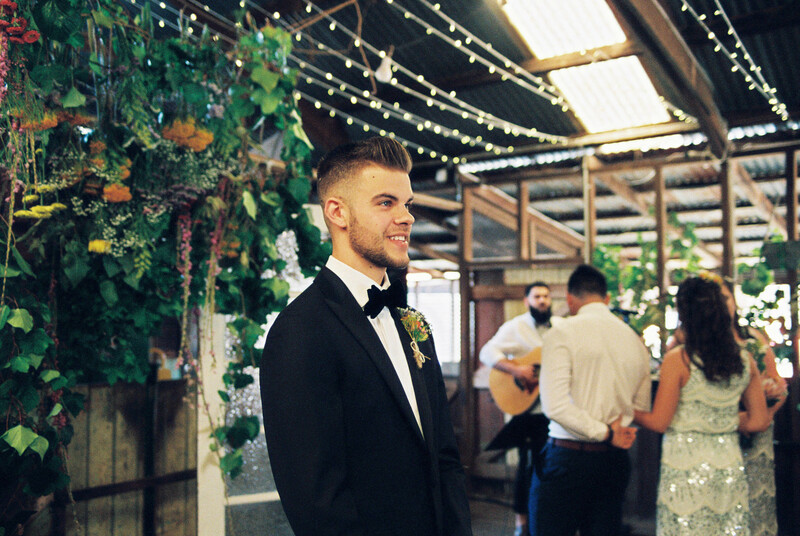 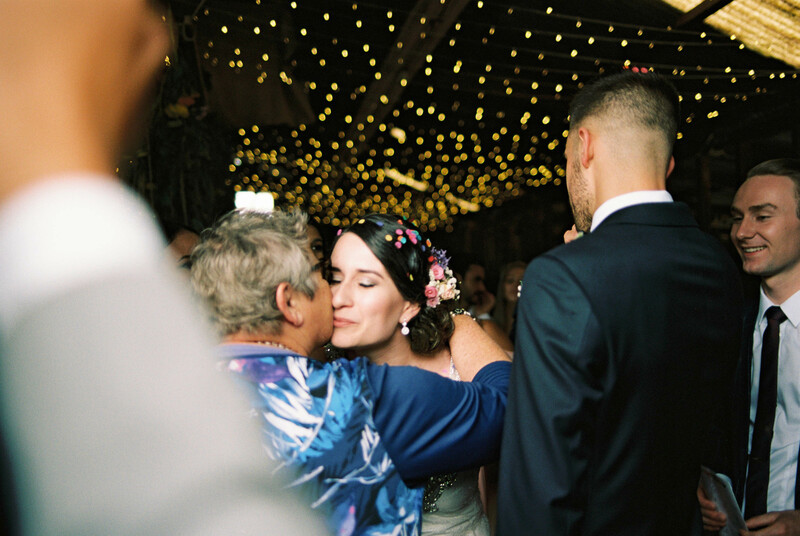 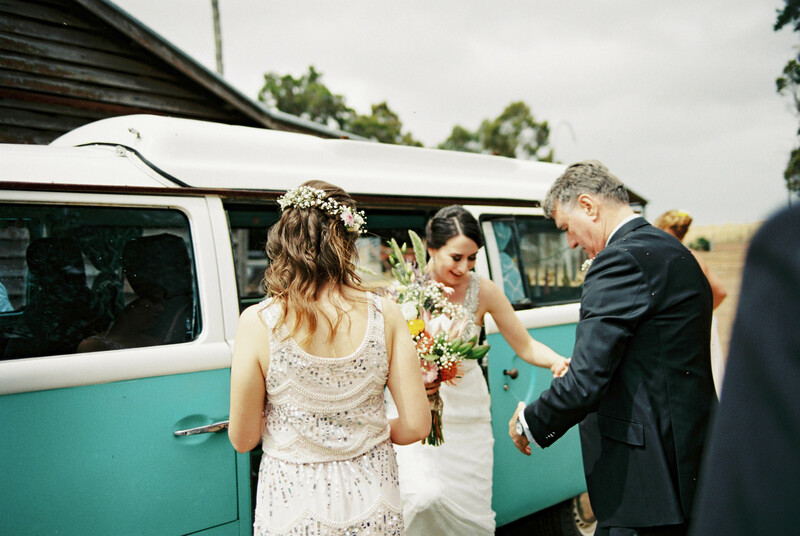 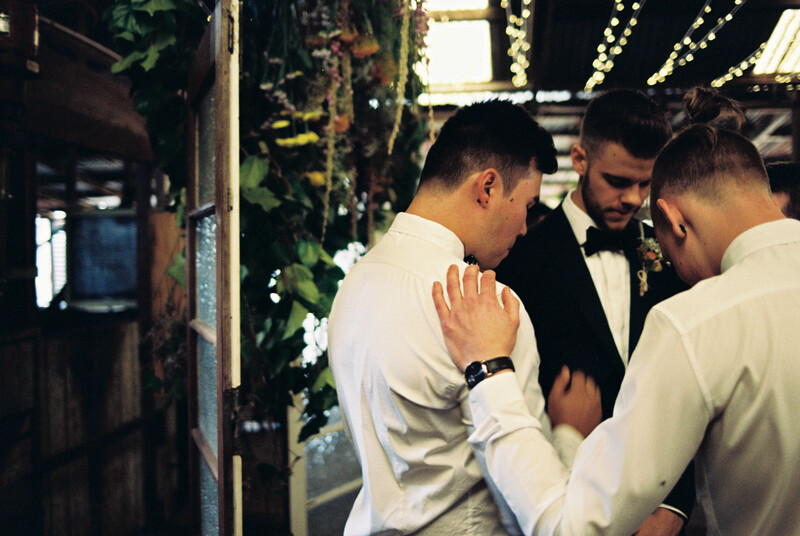 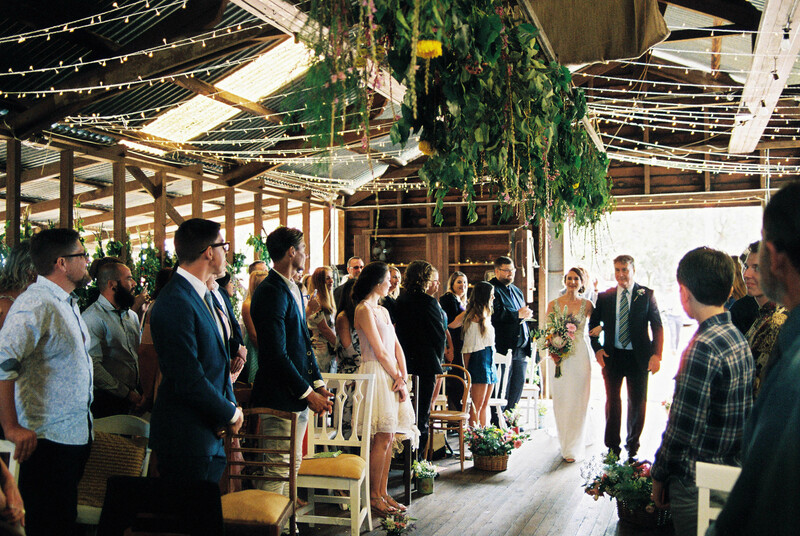 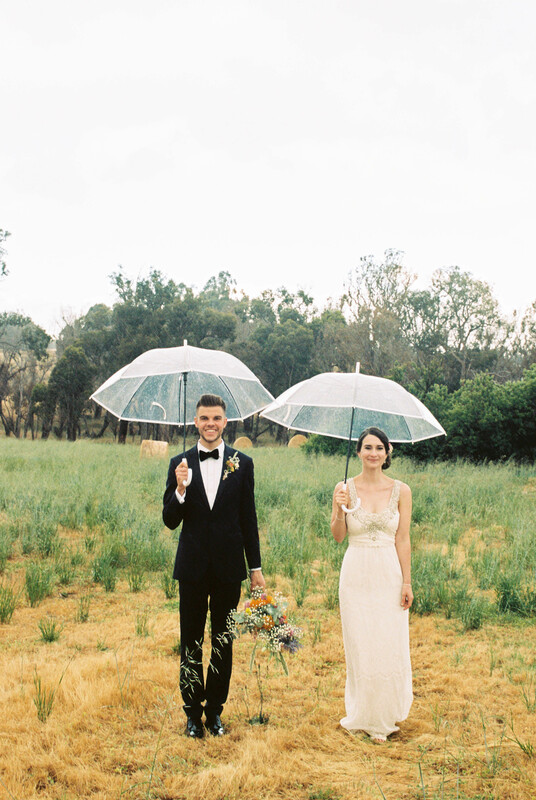 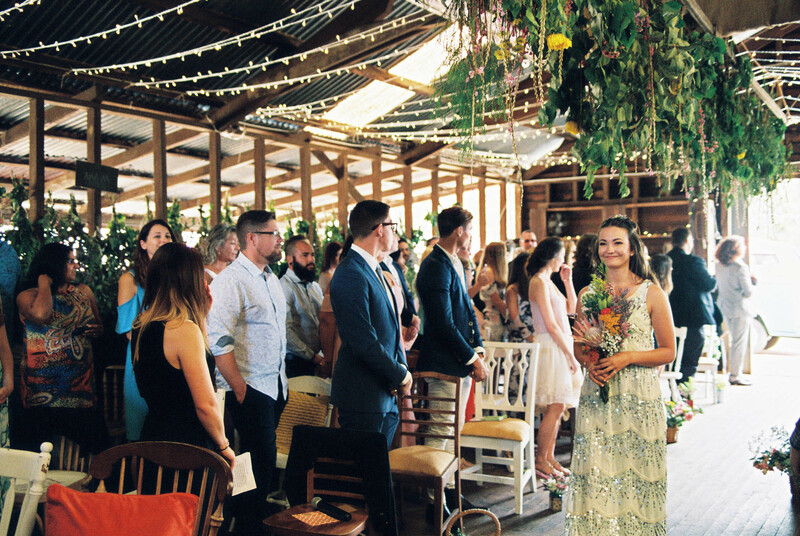 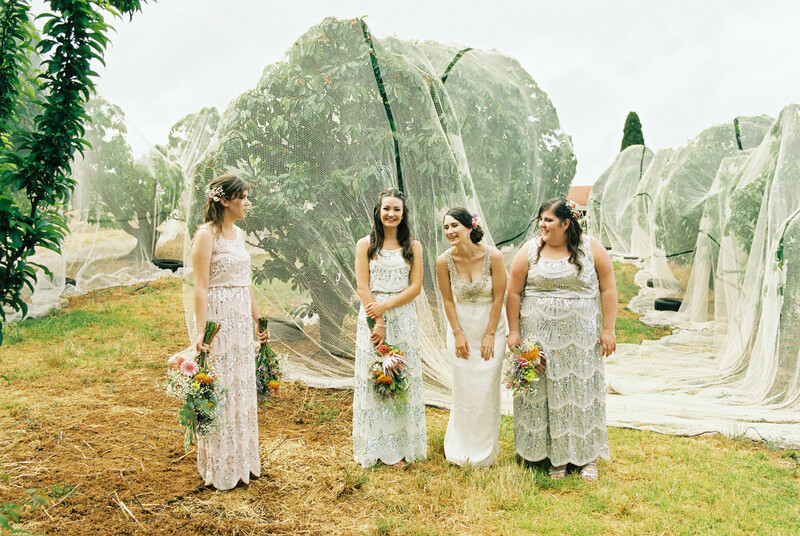 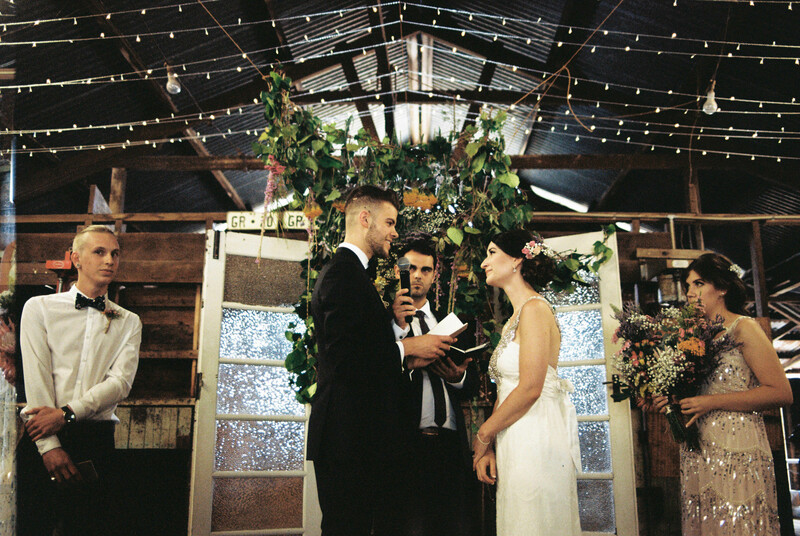 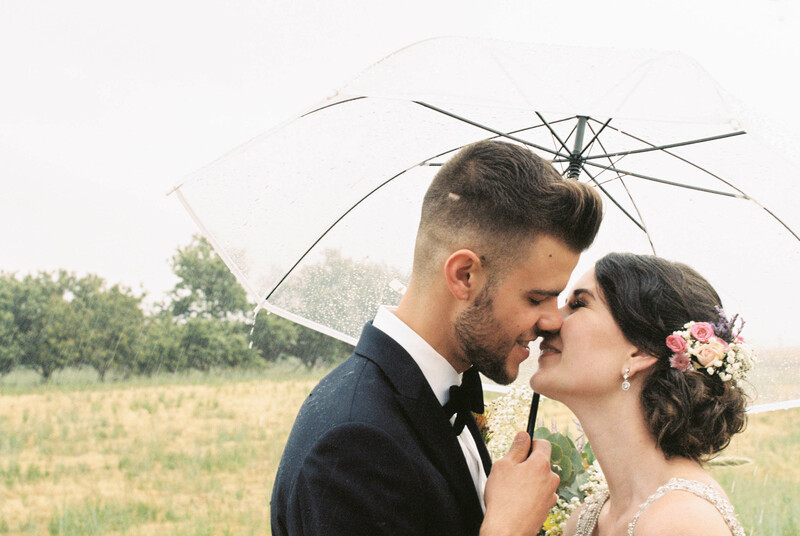 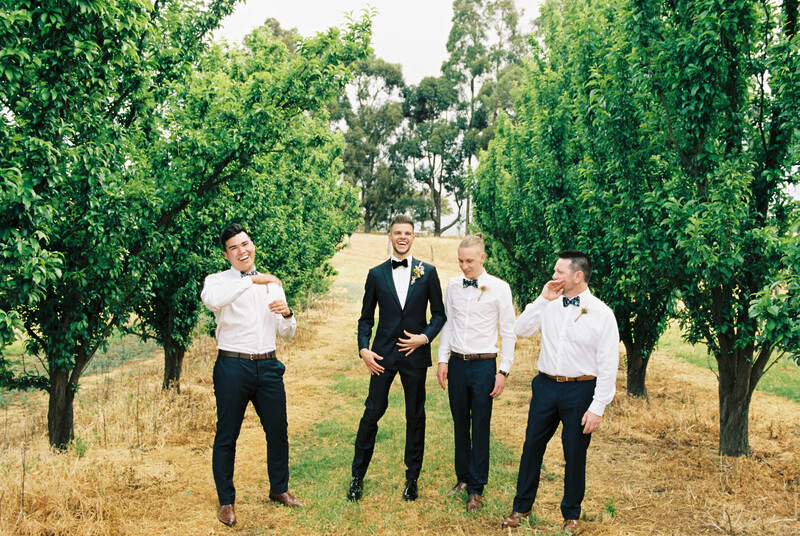 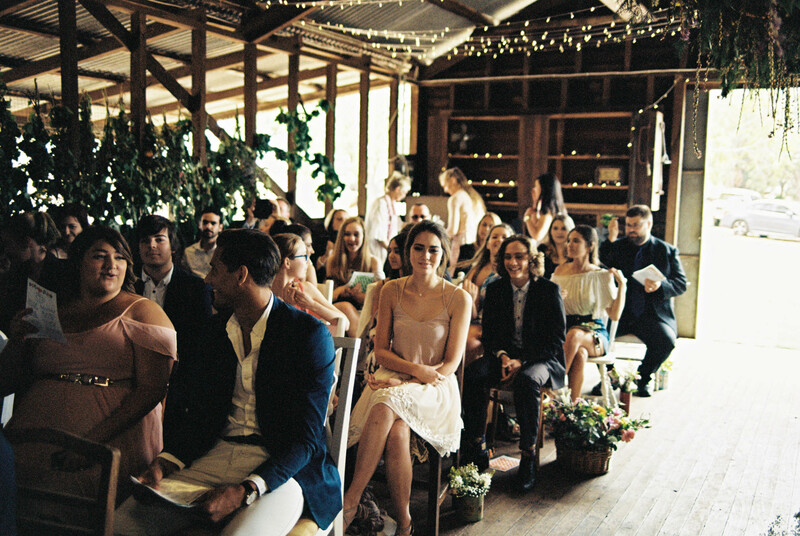 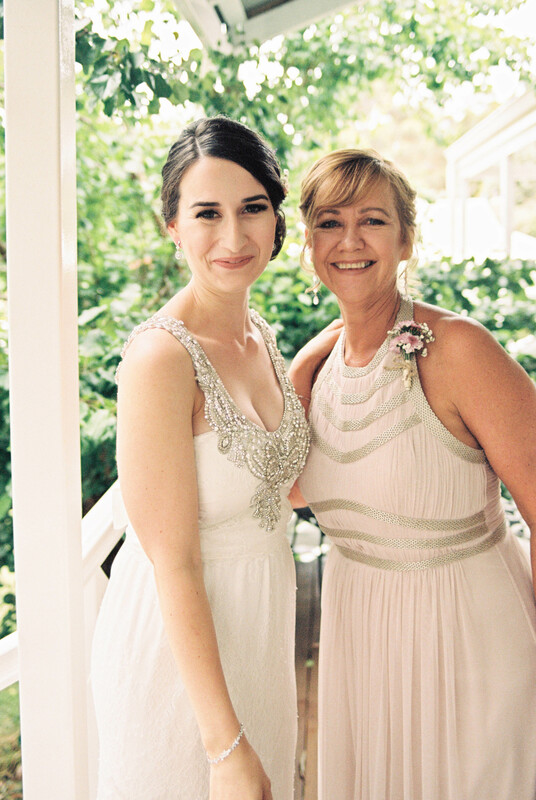 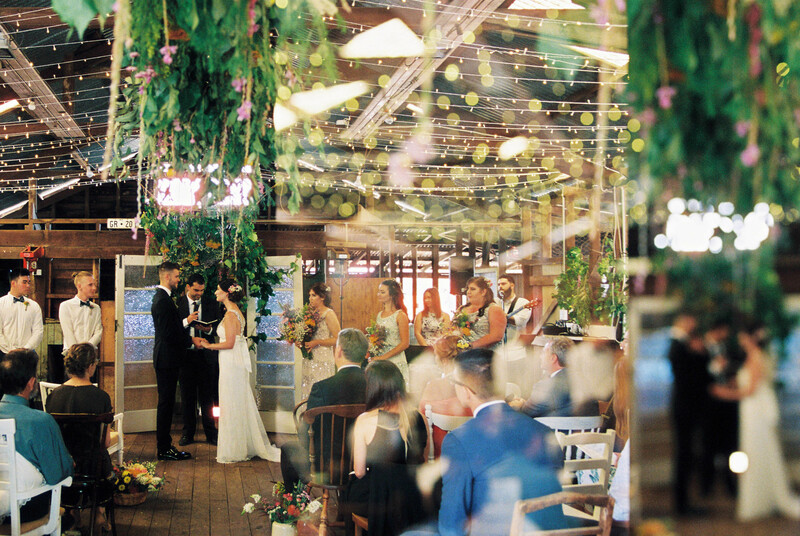 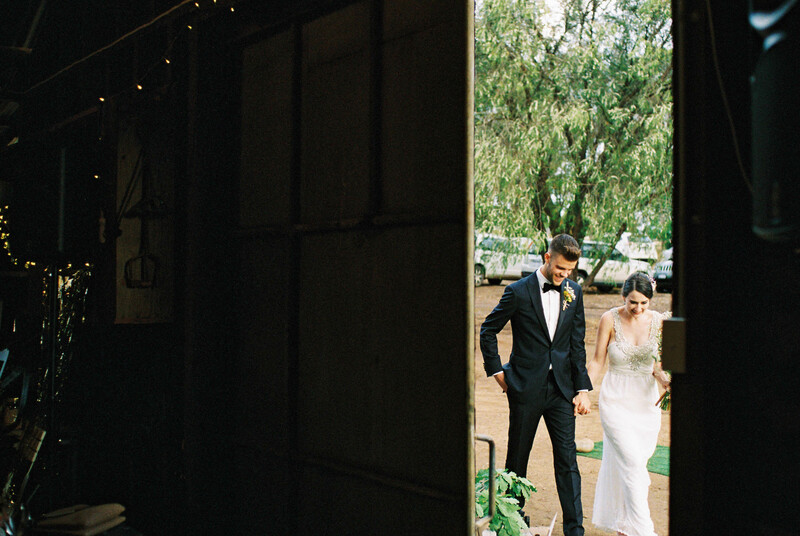 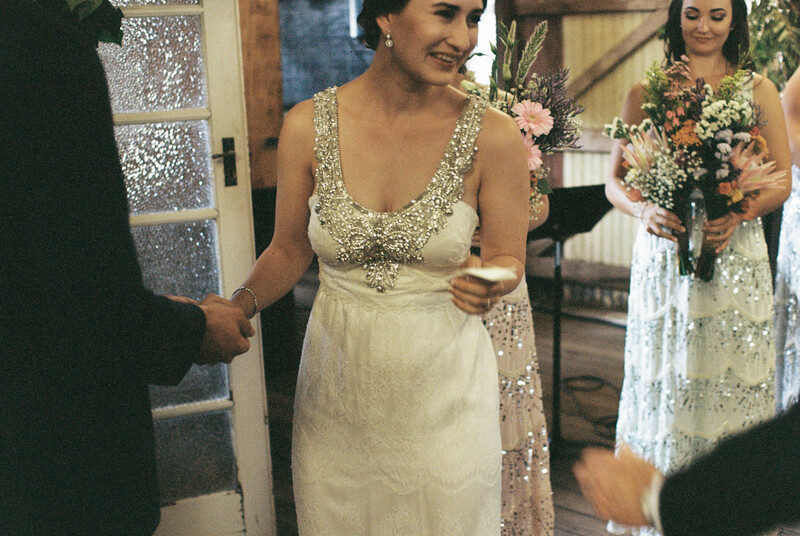 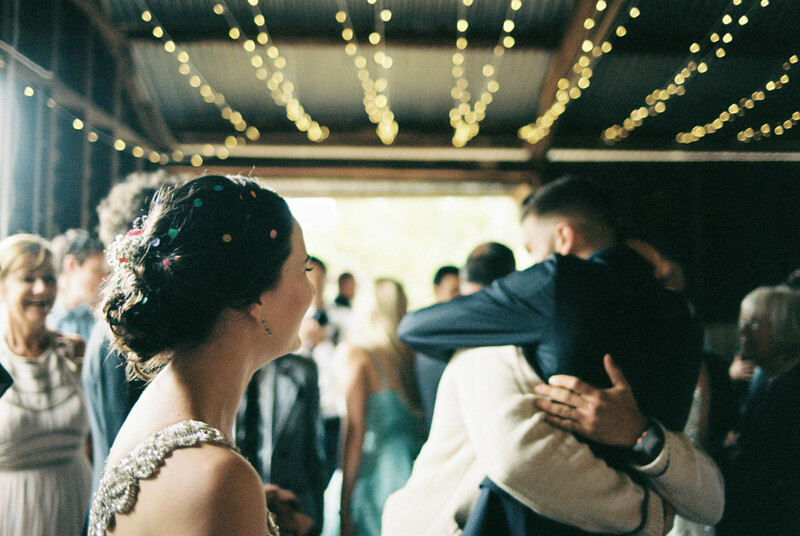 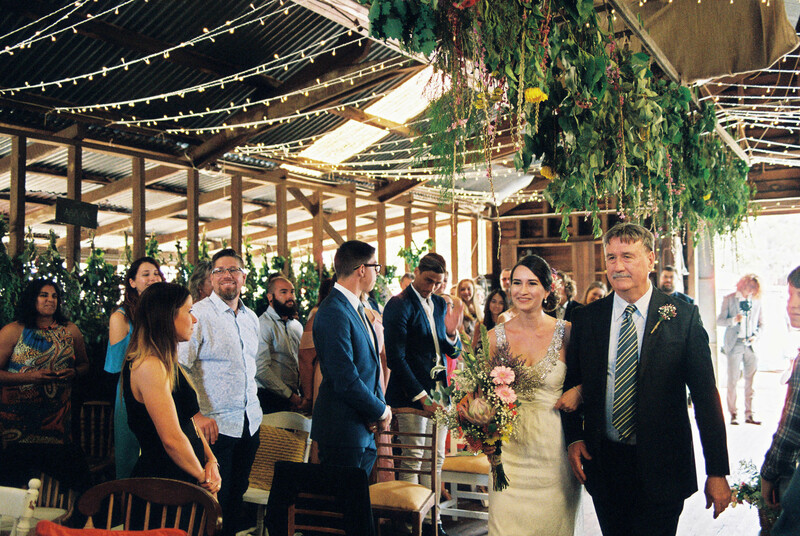 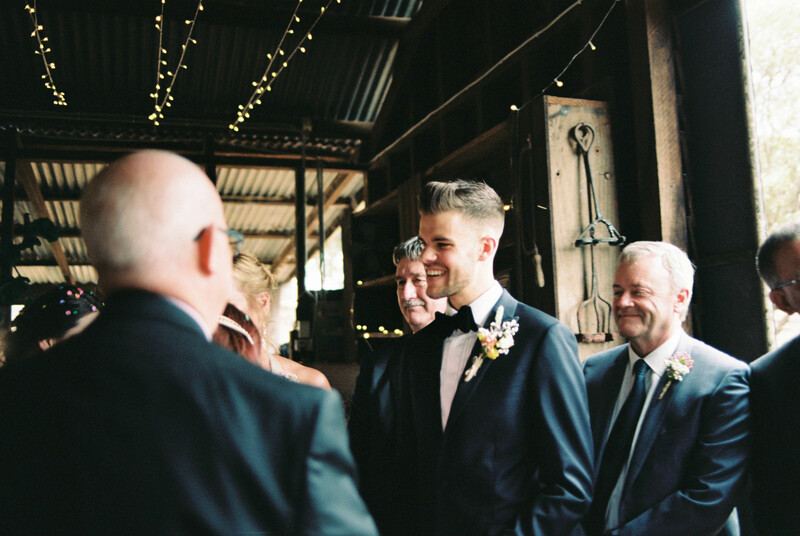 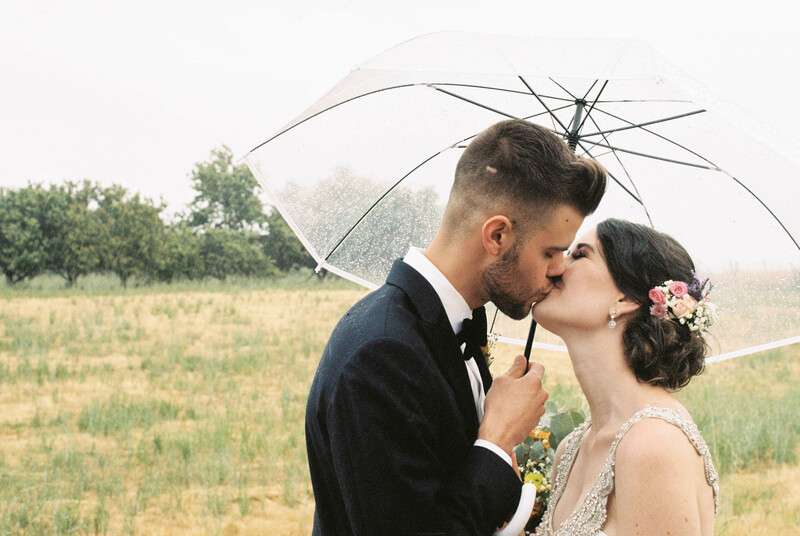 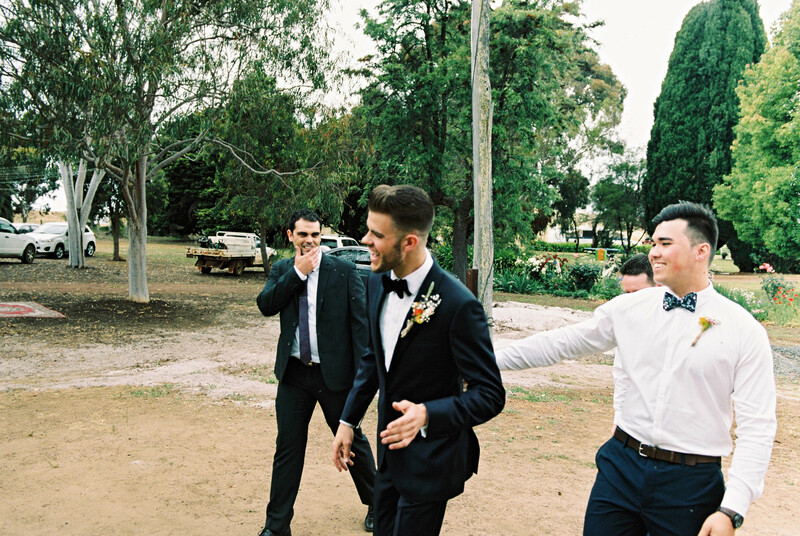 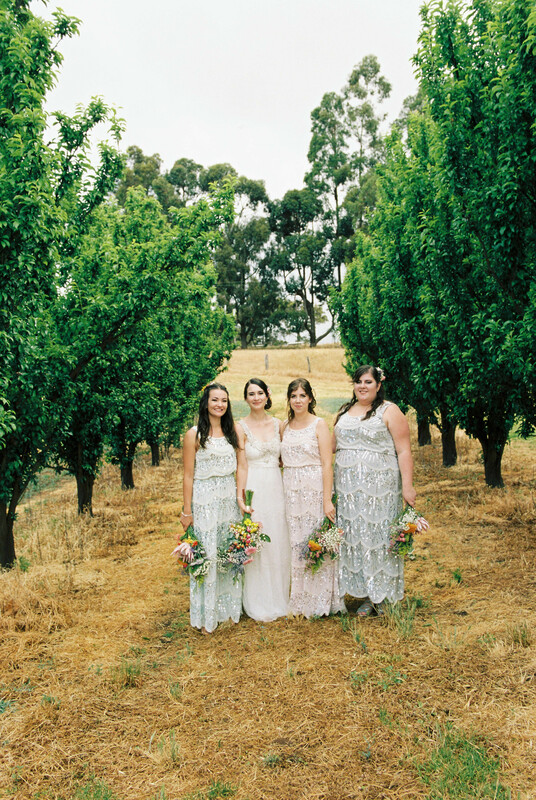 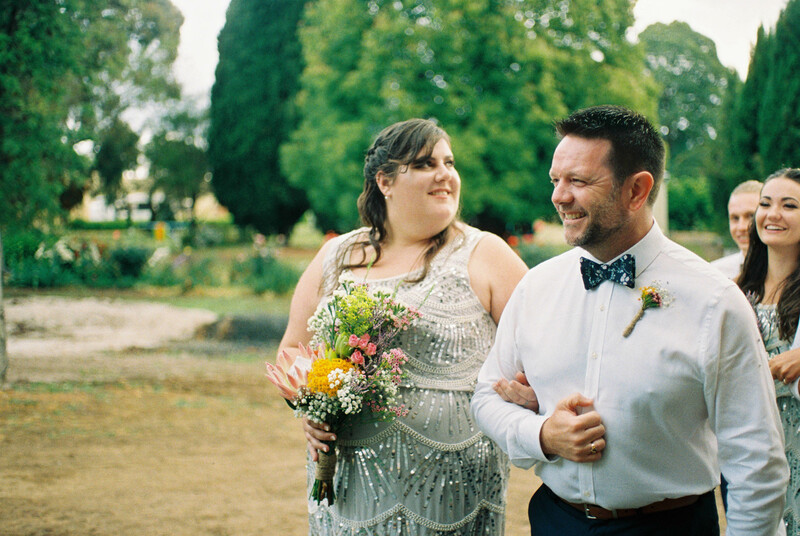 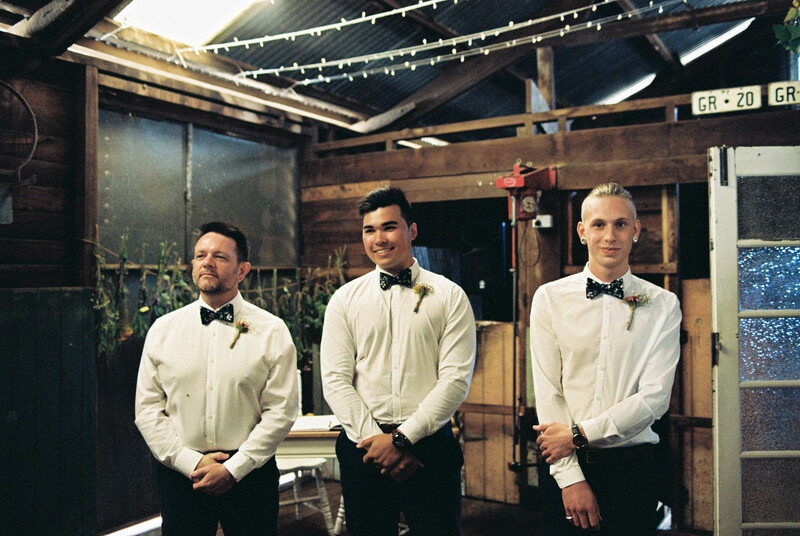 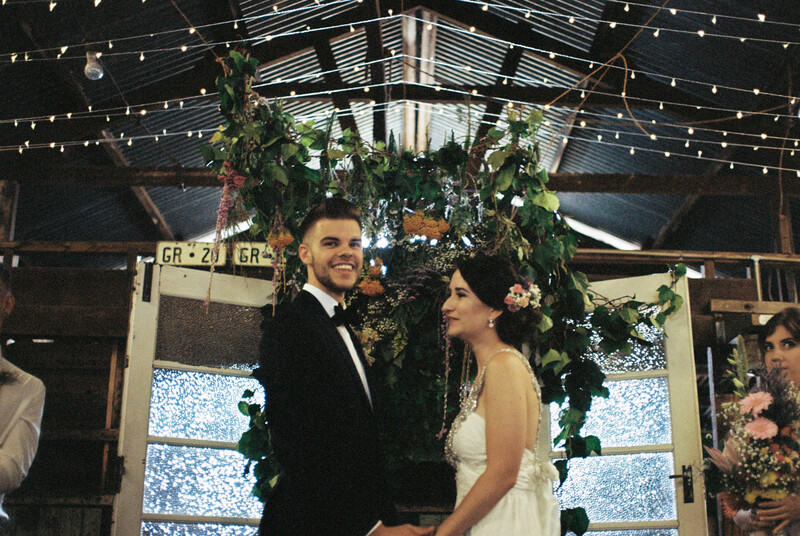 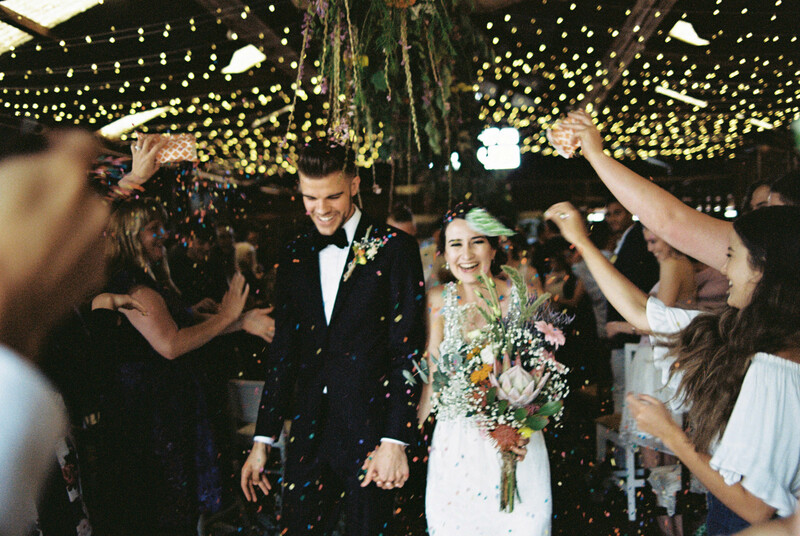 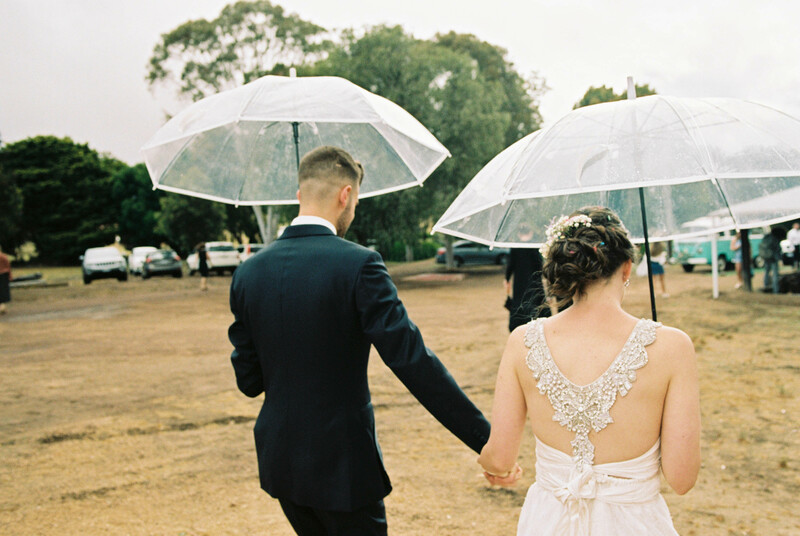 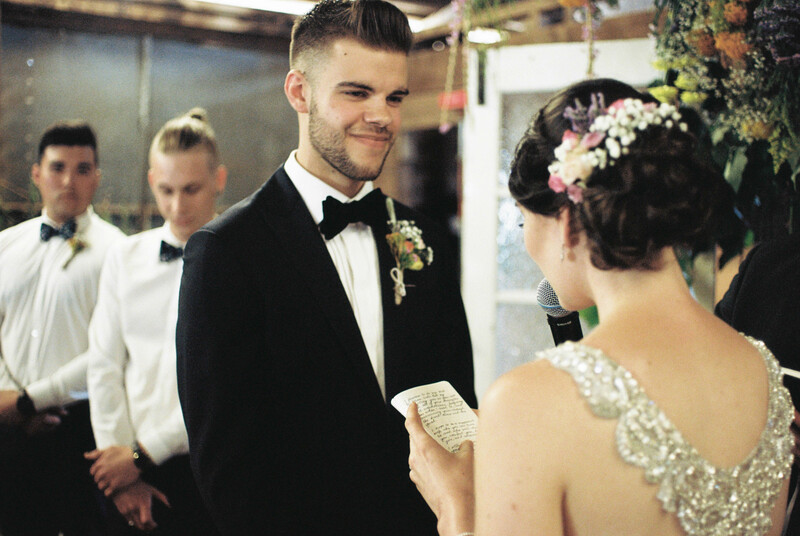 The ceremony was a mix of laughter and tears, the rain pouring down just as it finished leading to squishy hugs and extra confetti thrown under the shearing shed doors. 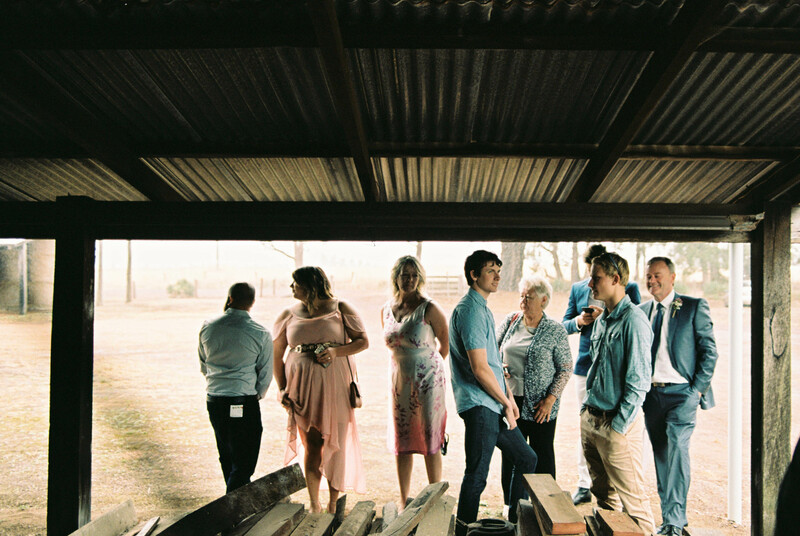 For photos we roamed around the farm – venturing into a sloppy chicken pen, a faraway blue gum plantation and a few sheds filled with greasy farm equipment. 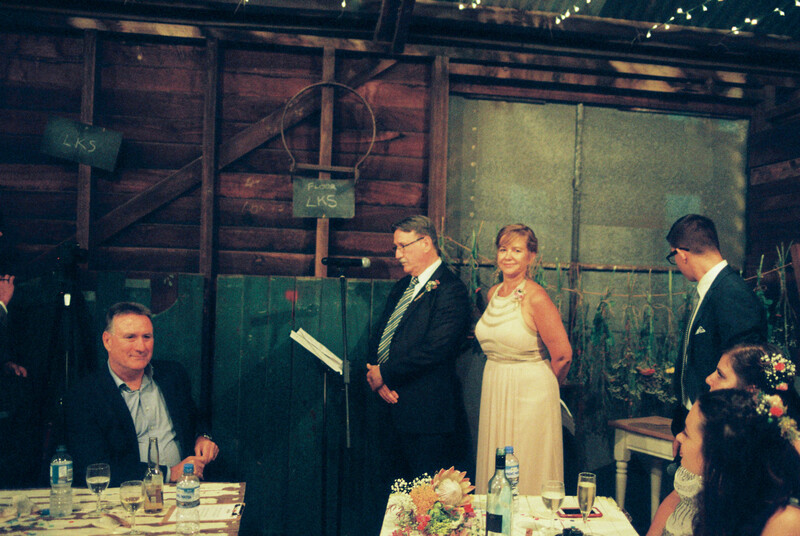 And then… the surprise that took us all, the speeches. 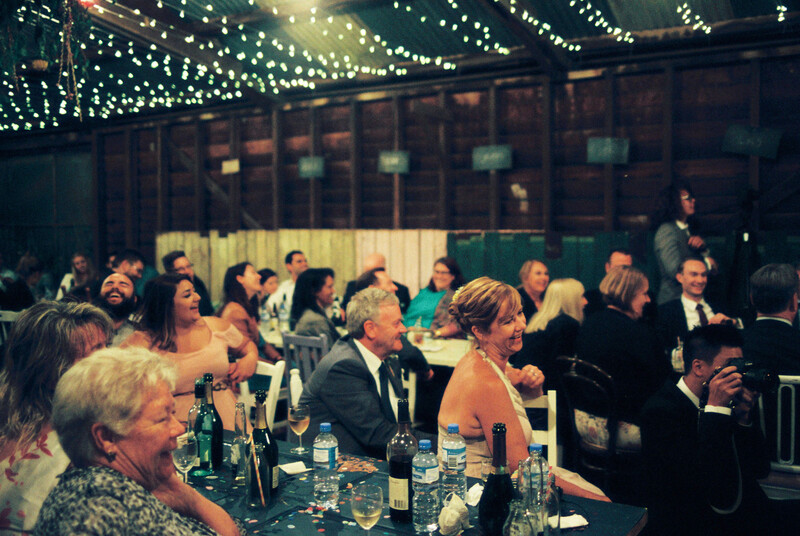 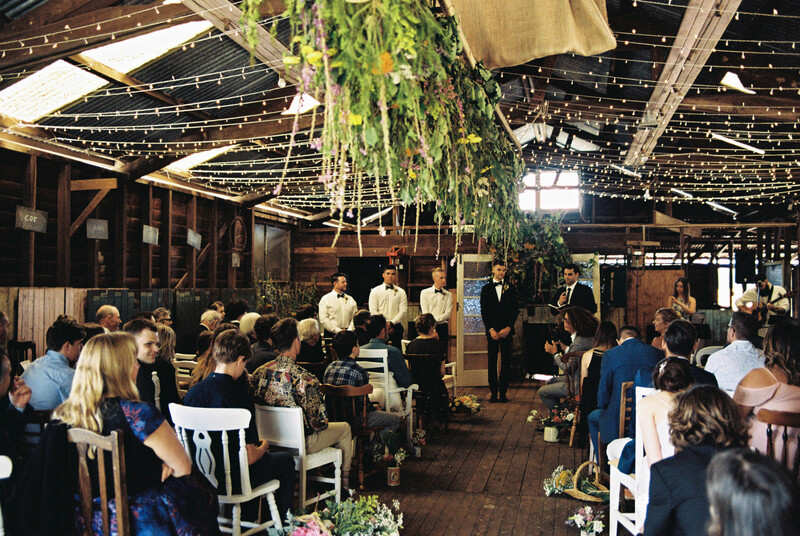 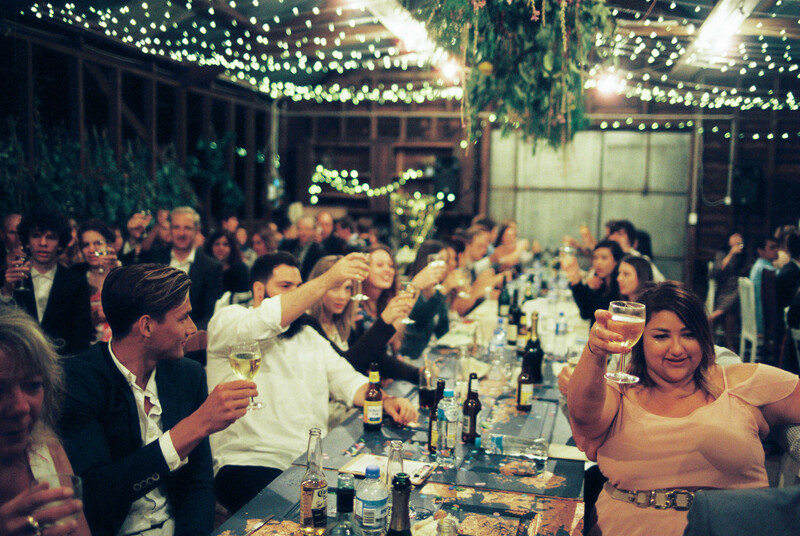 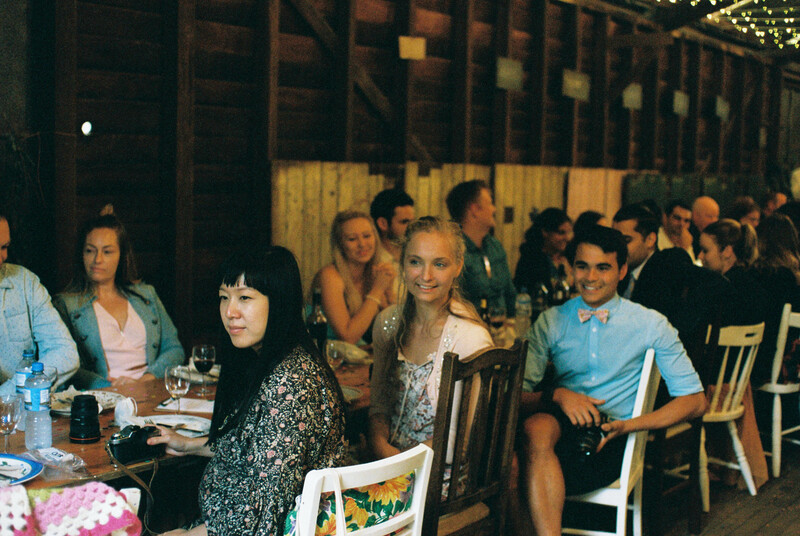 Fuelled by wine from the property’s vineyard, the speeches took everyone by surprise. 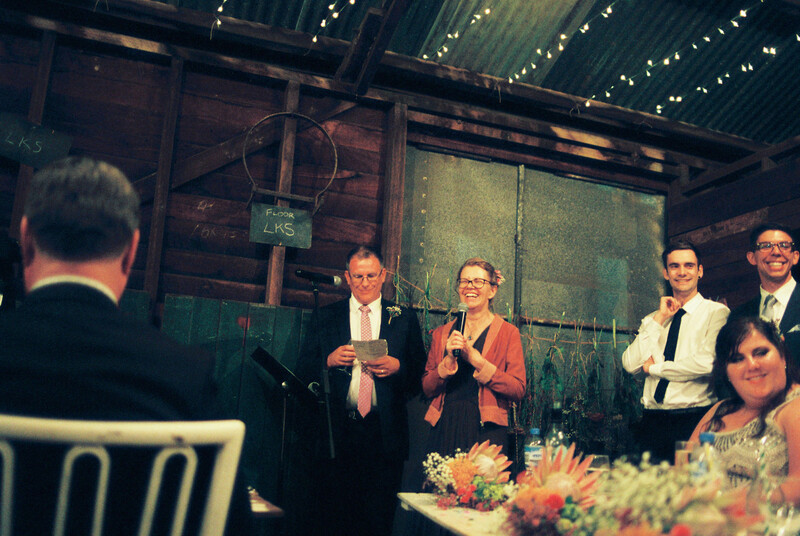 Endless laughter as both Holly & Scott’s parents came out with some cracker jokes, and finally when his usually quiet best man began pouring out the difficulties of being Scott’s Best Friend. 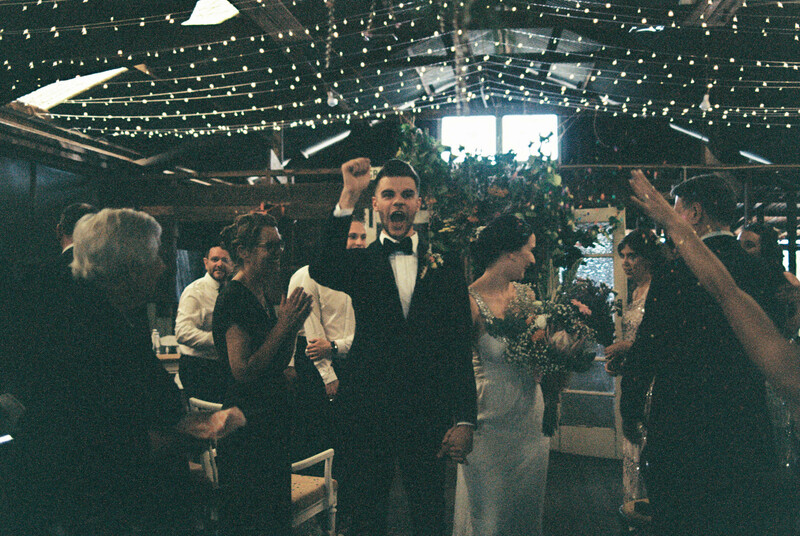 What I wouldn’t give to relive these moments… but I guess that’s why we have the photos! 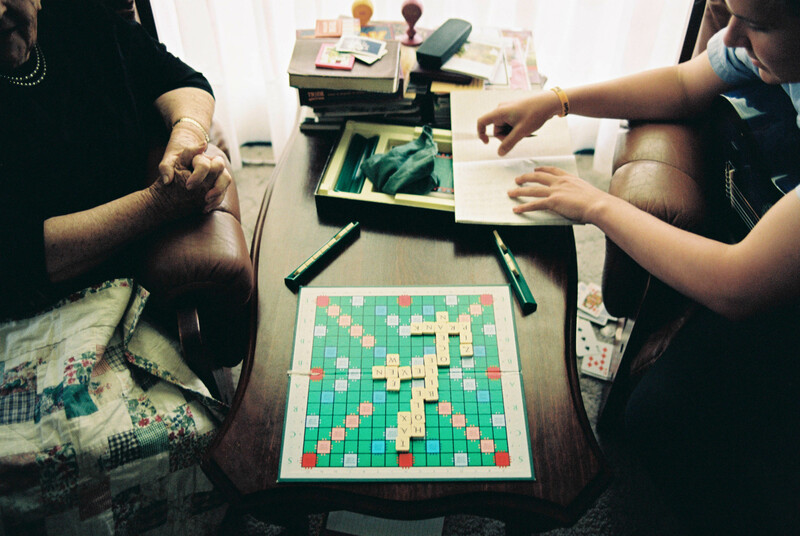 To remember Grandma playing scrabble after the ceremony, to see Holly’s emotions as she read Scott’s letter in the morning, to take us back to just a little bit of the emotion felt on the day. 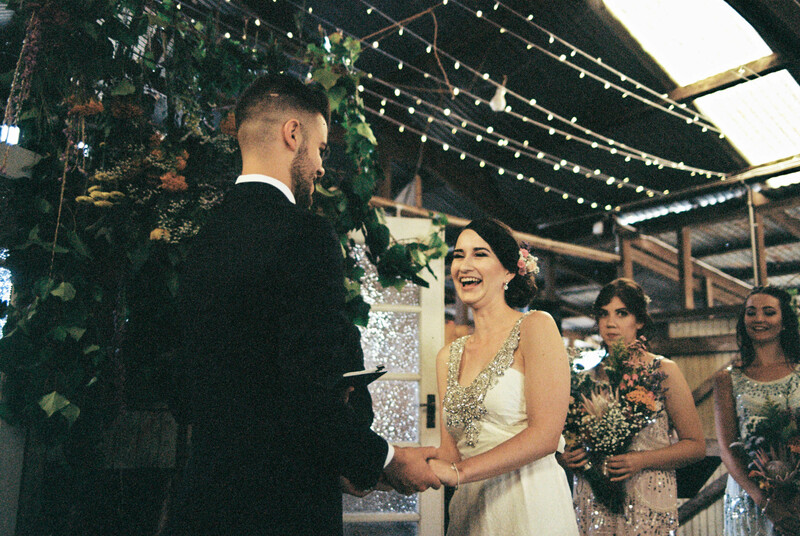 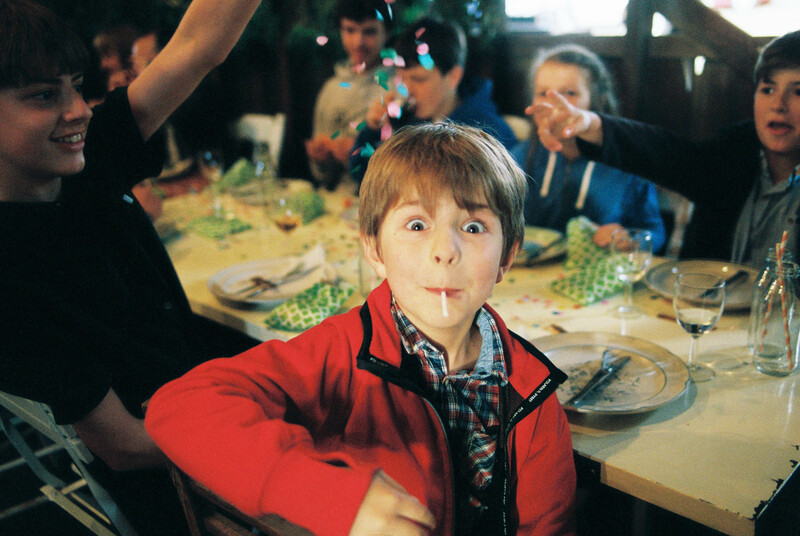 Shot entirely on film using just my Pentax K1000 after my stubborn little brother declared one day ‘Rhianna, you’re taking our wedding photos on film!’ (Me, ‘Wait what?’ Holly, ‘We didn’t talk about this!!! 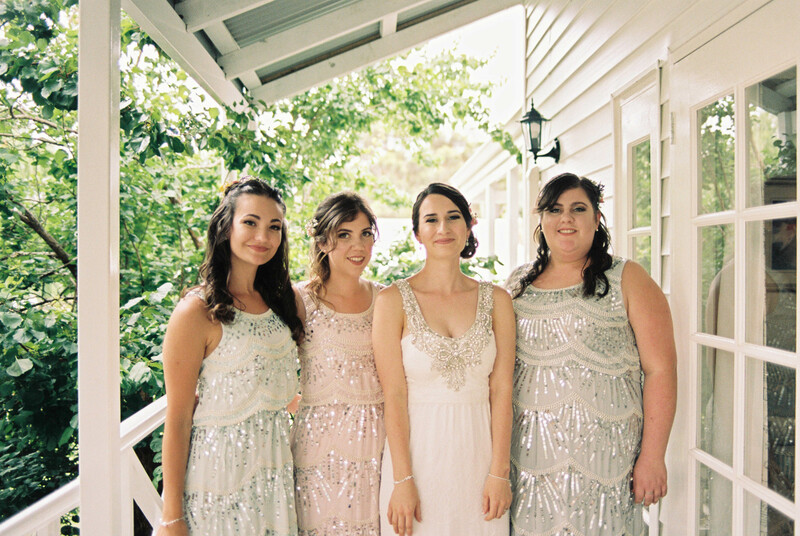 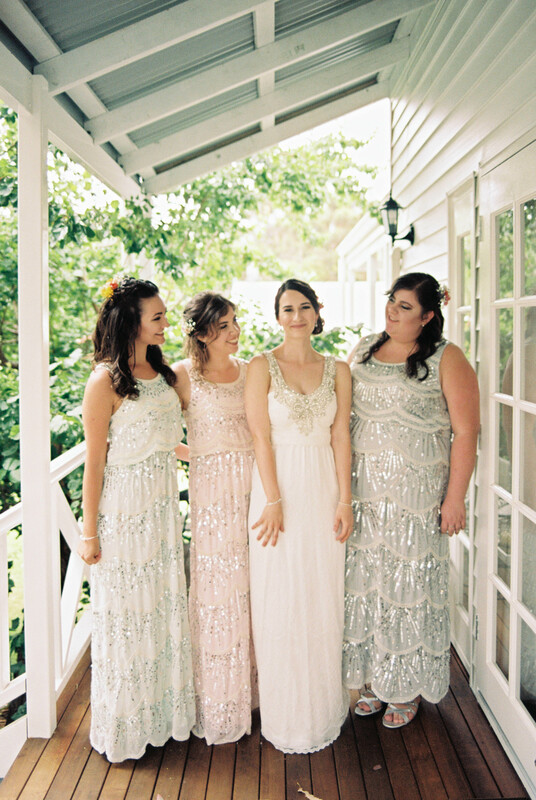 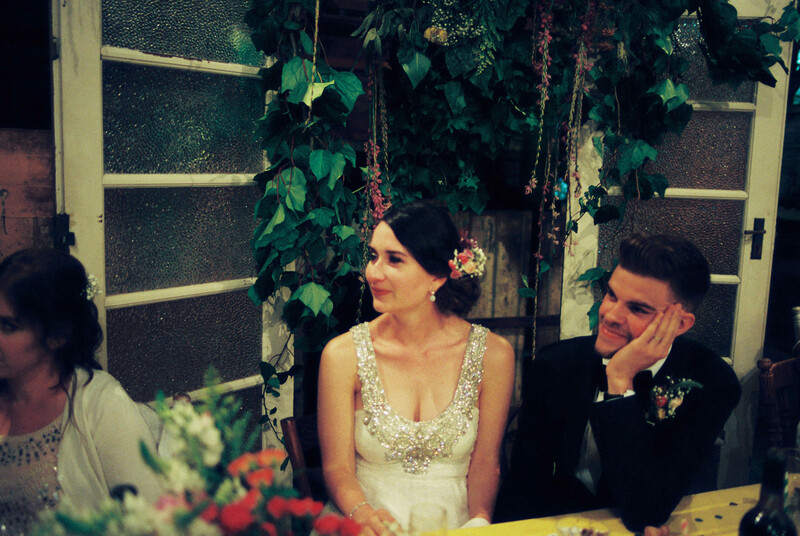 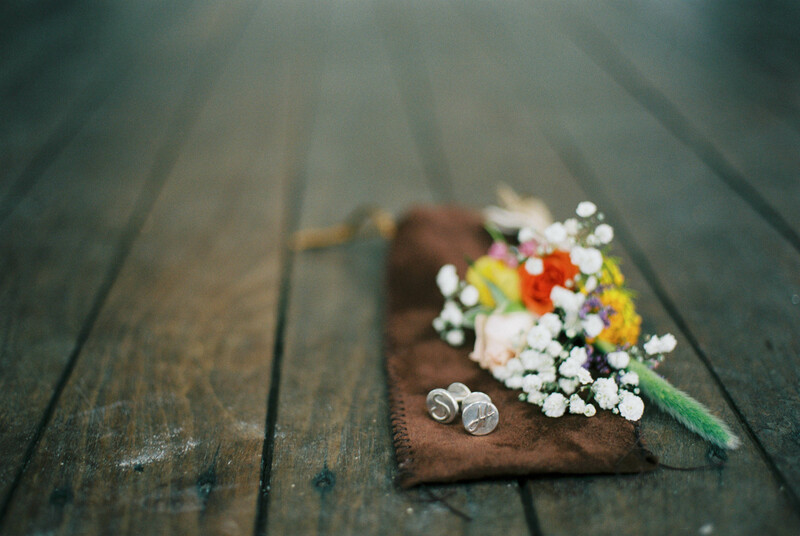 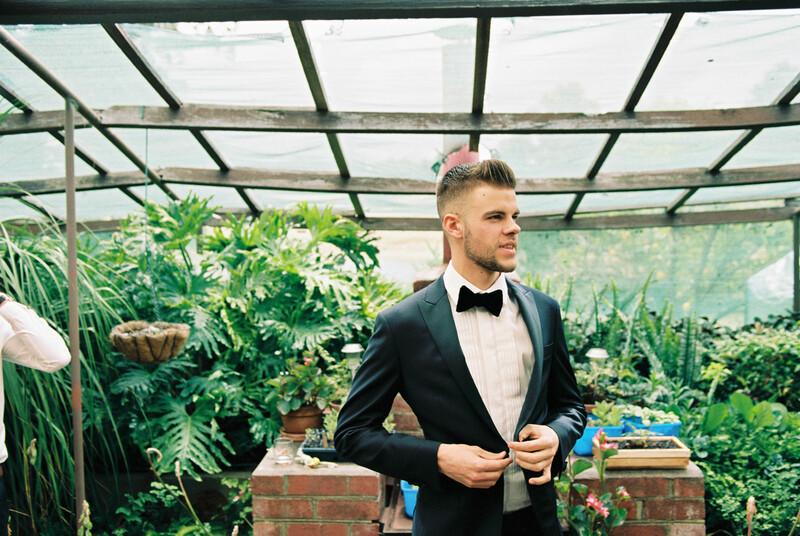 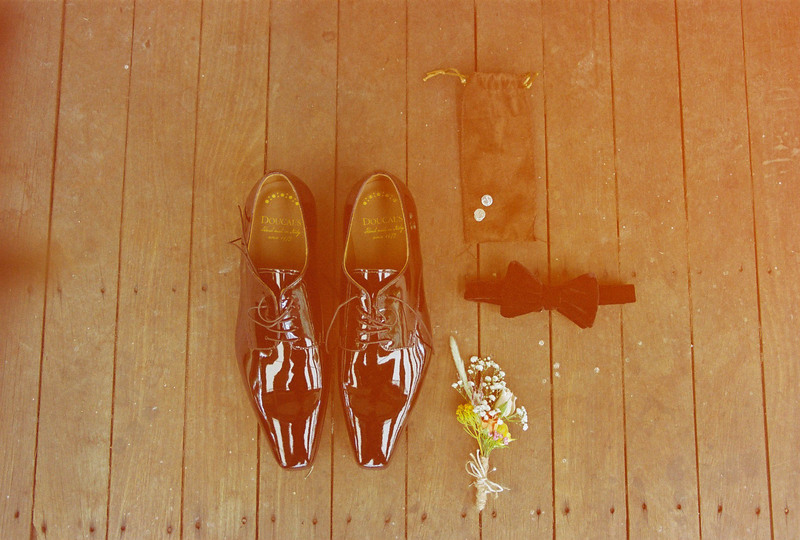 !’,) I hope you enjoy these Bridgetown Wedding Photos from my little brother’s wedding. 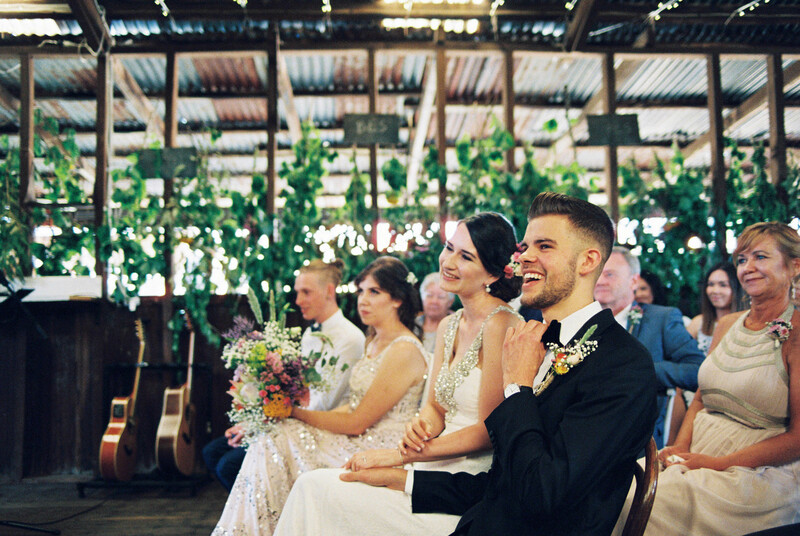 Do everything in a way that allows you one day before the wedding just to relax and get excited about what’s to come. 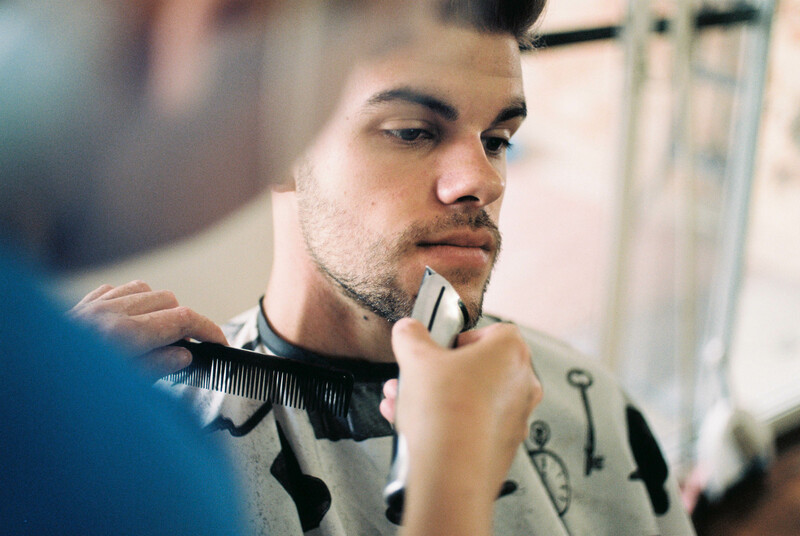 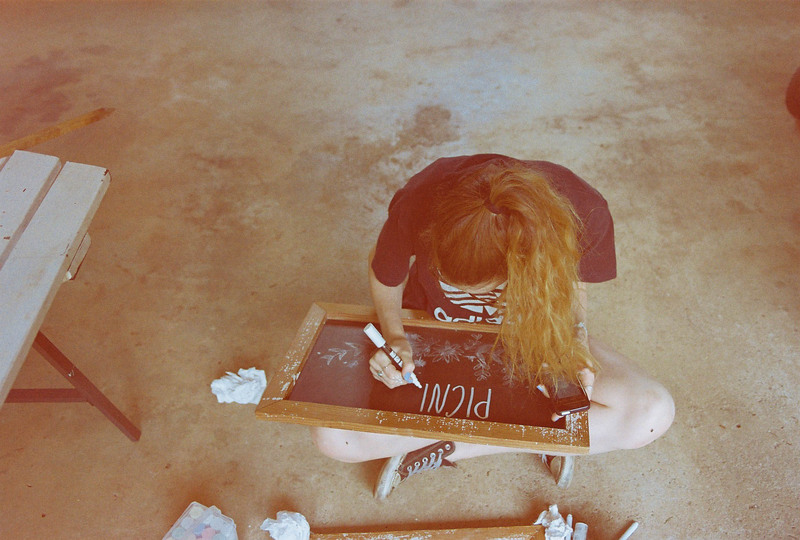 But don’t take it too seriously – the most important thing is every day after. 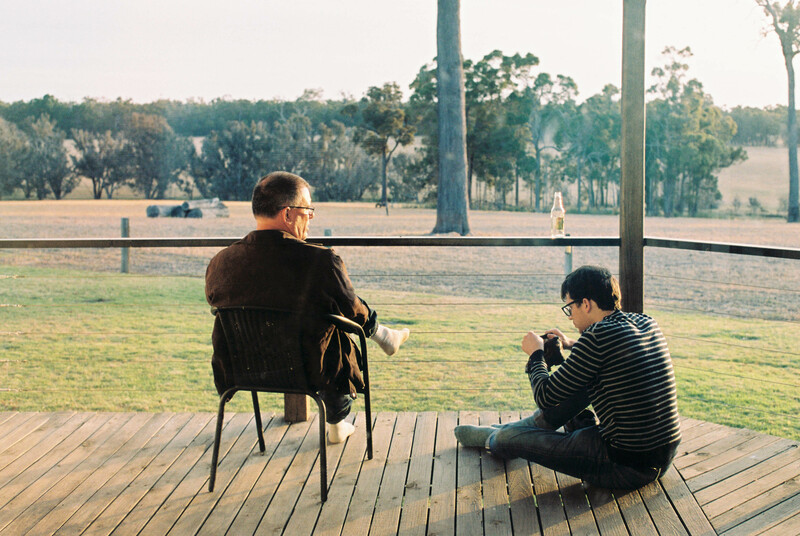 I’ll be in Australia 20 December 2018 – 4 January 2019, and again from early March – 7 April 2019. 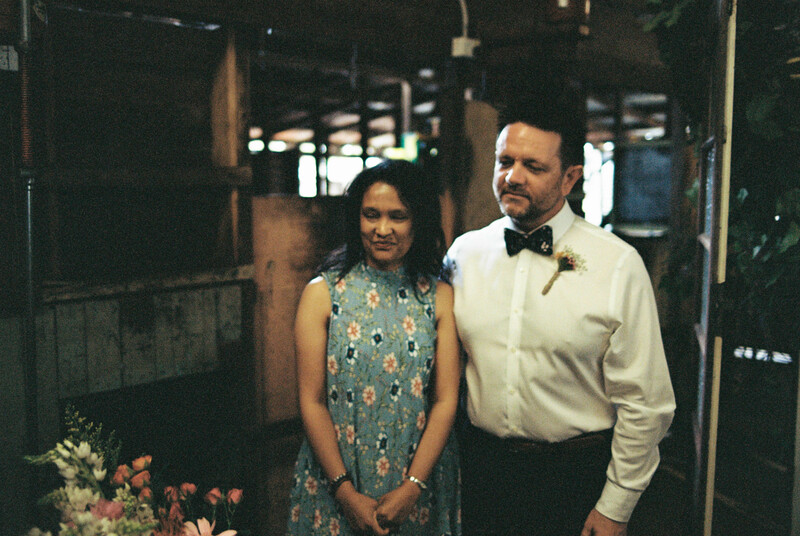 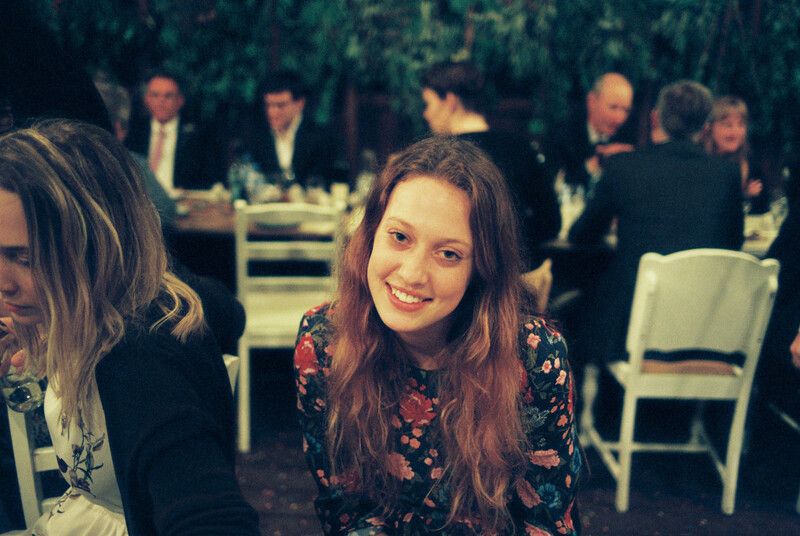 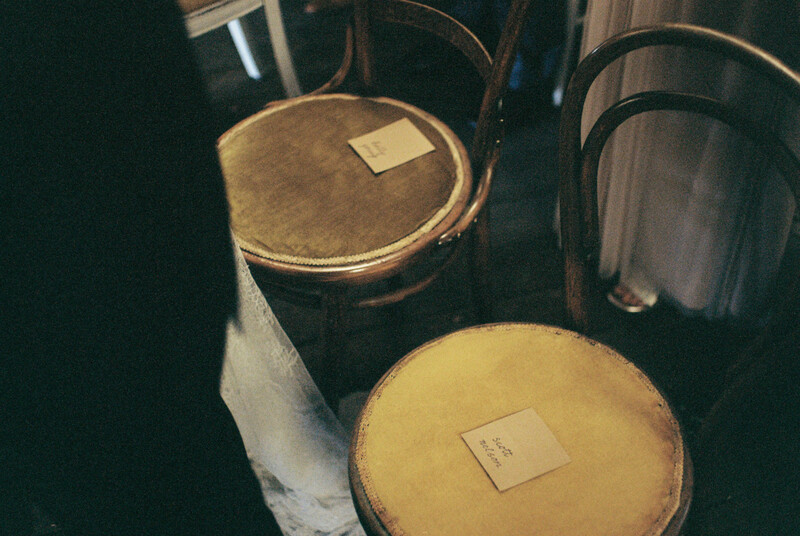 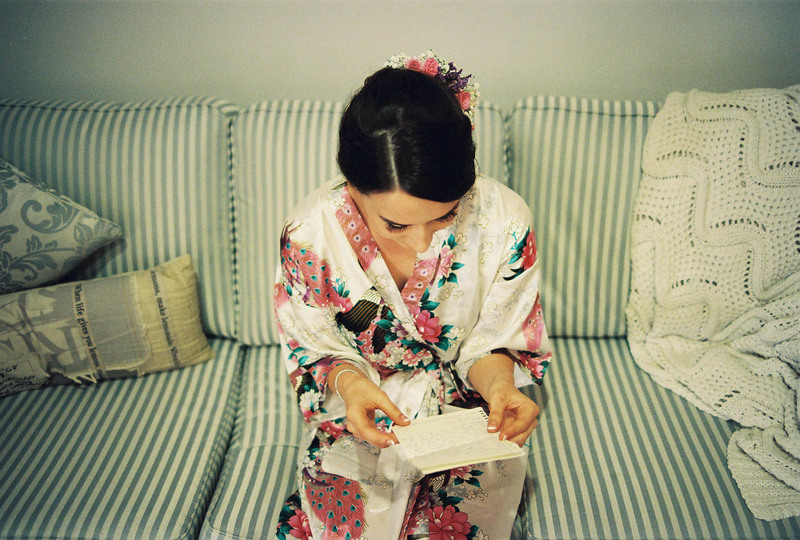 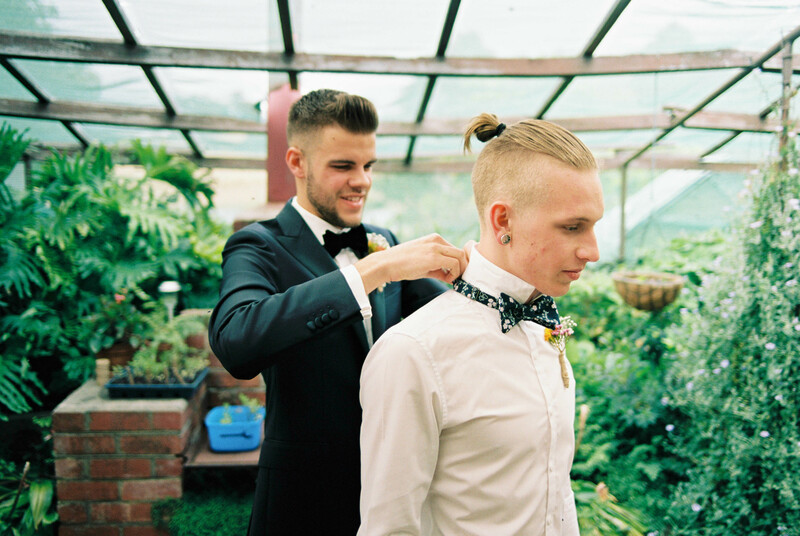 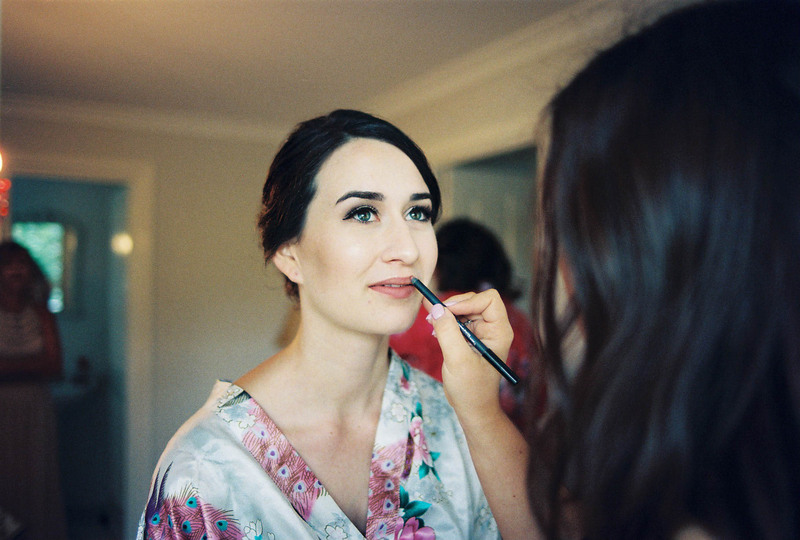 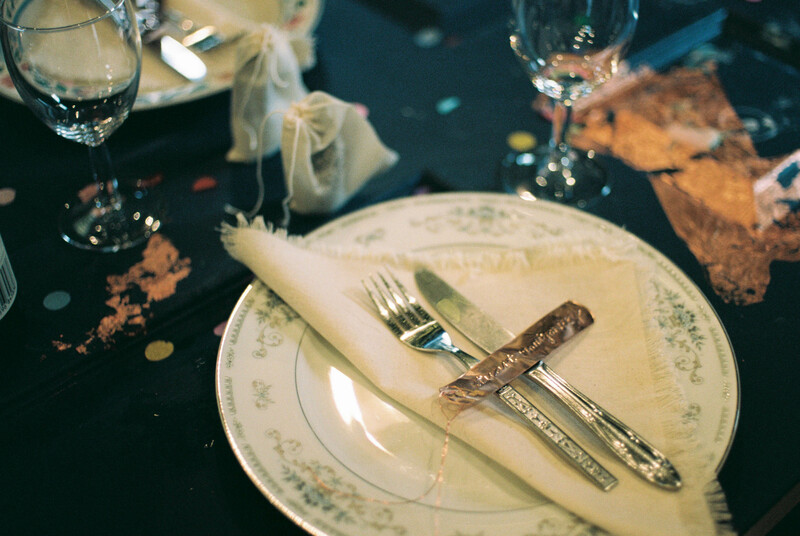 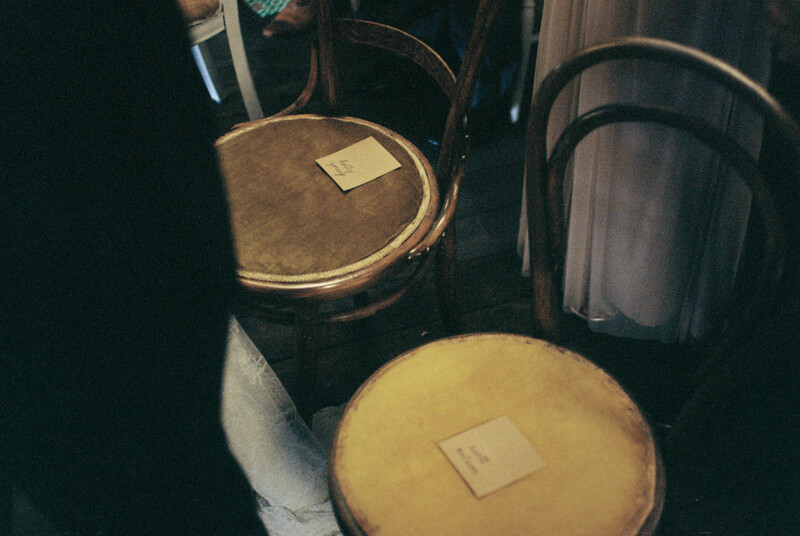 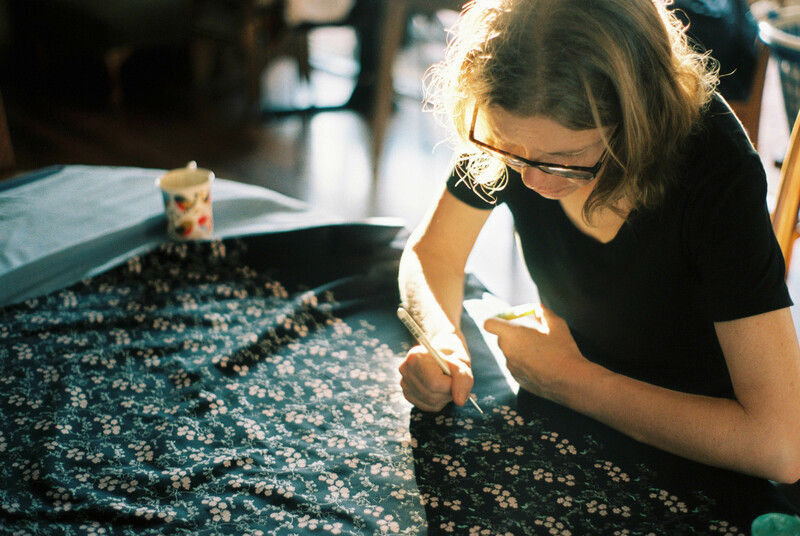 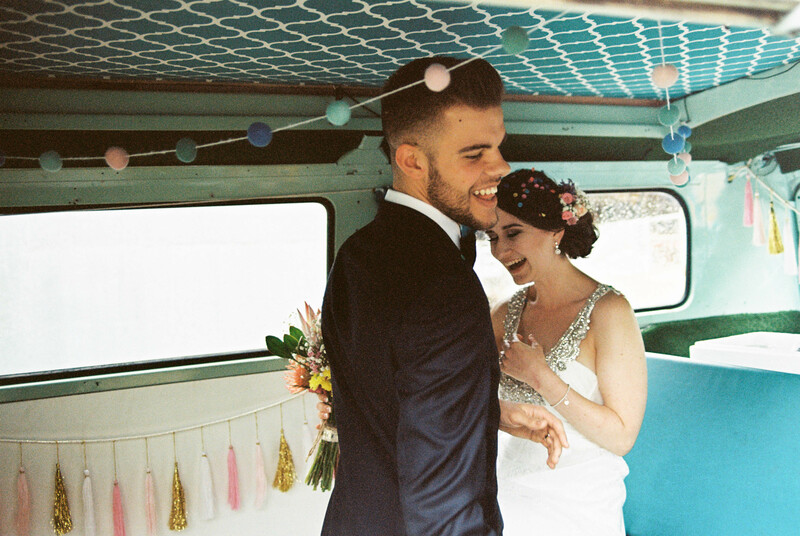 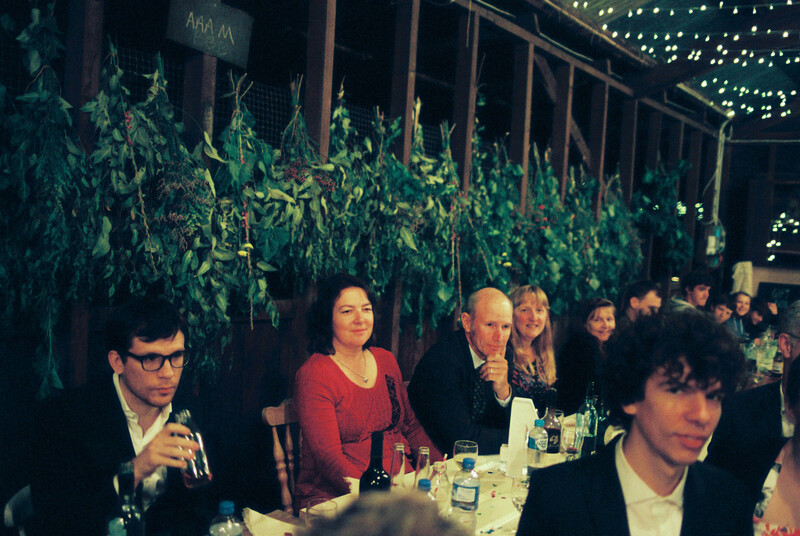 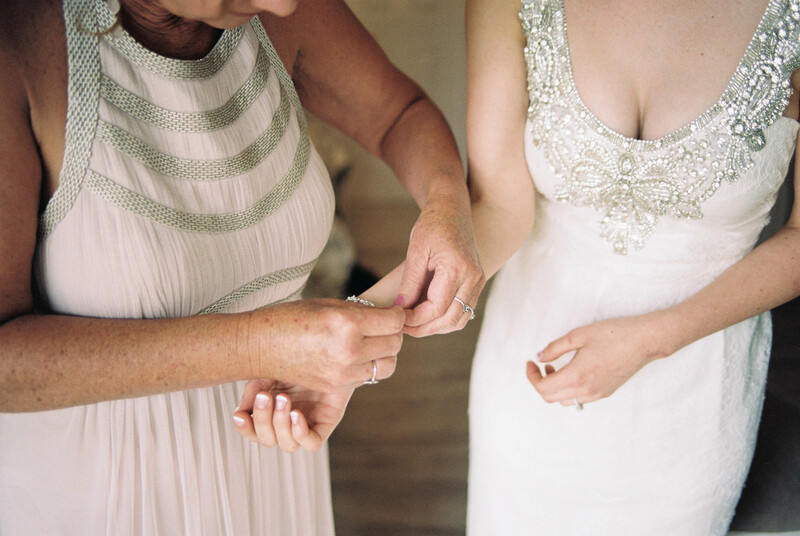 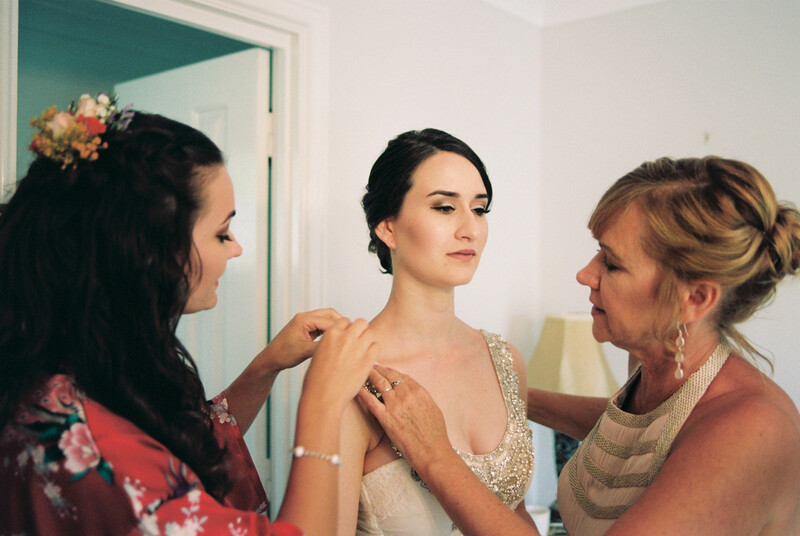 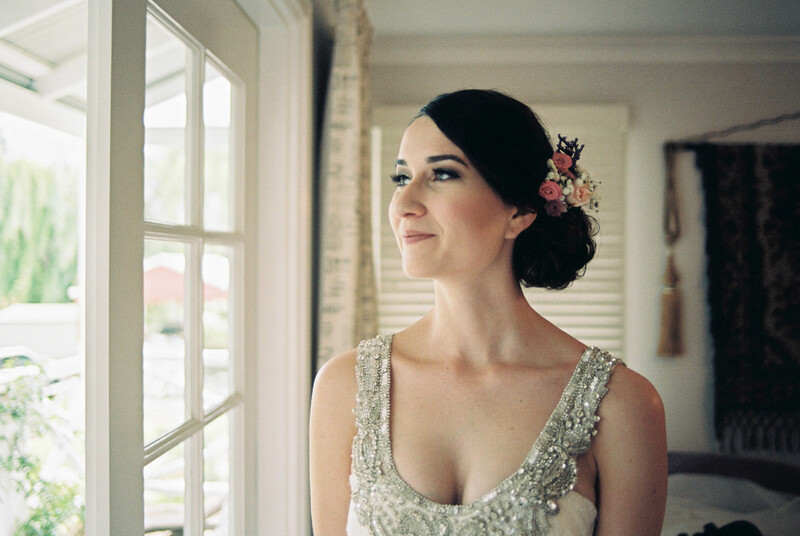 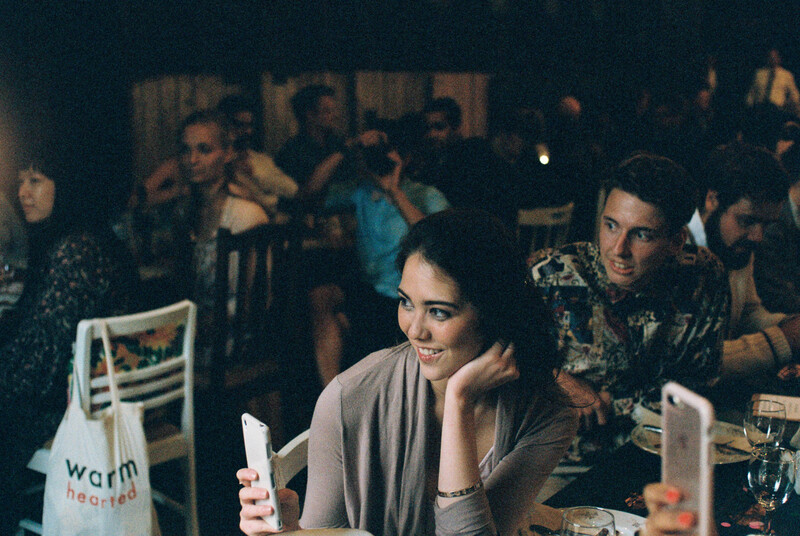 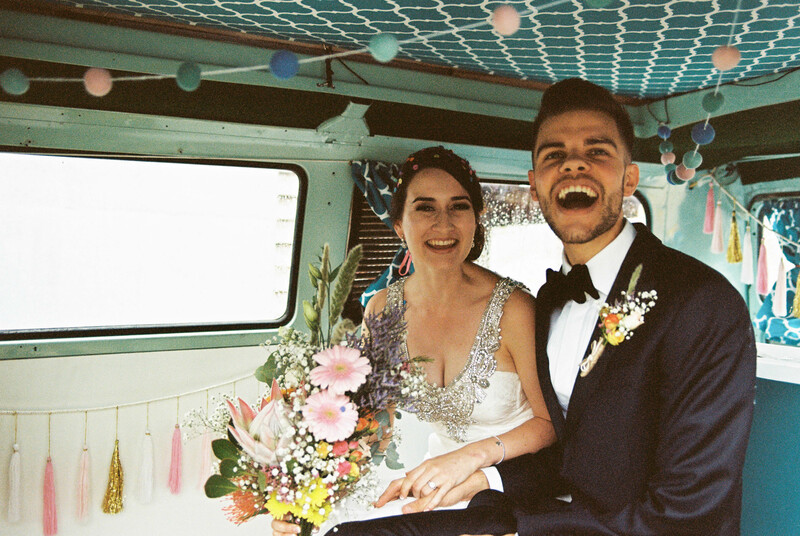 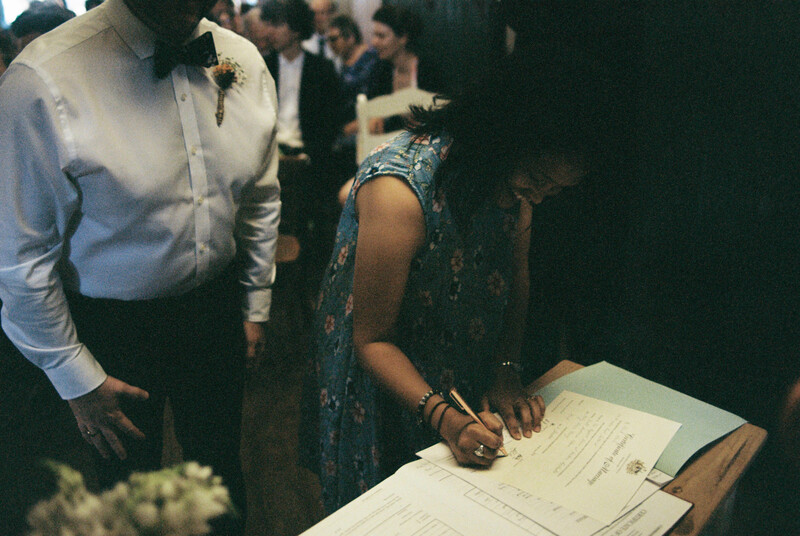 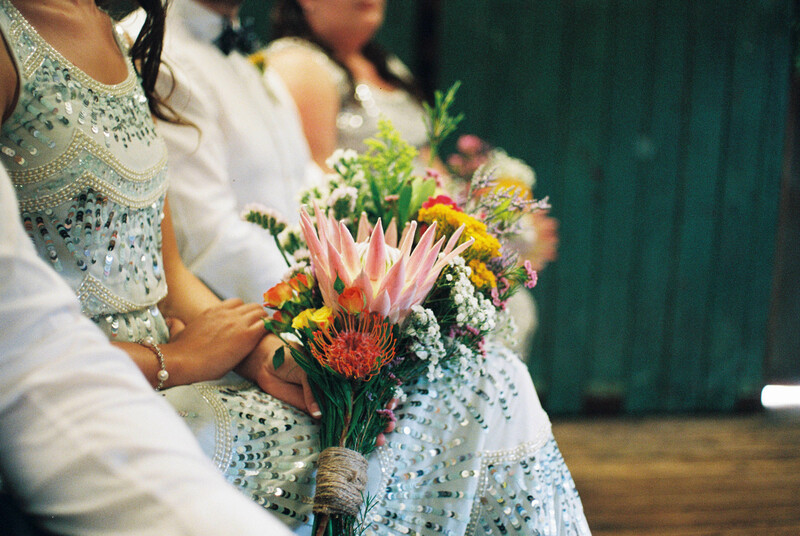 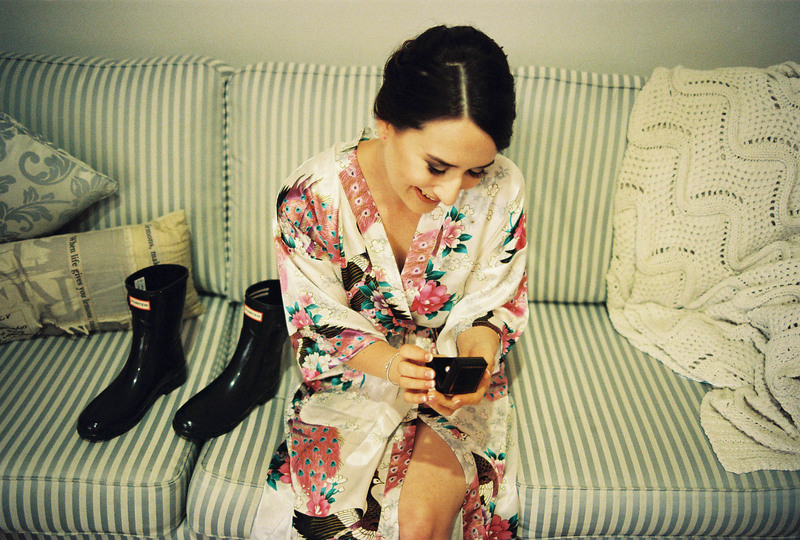 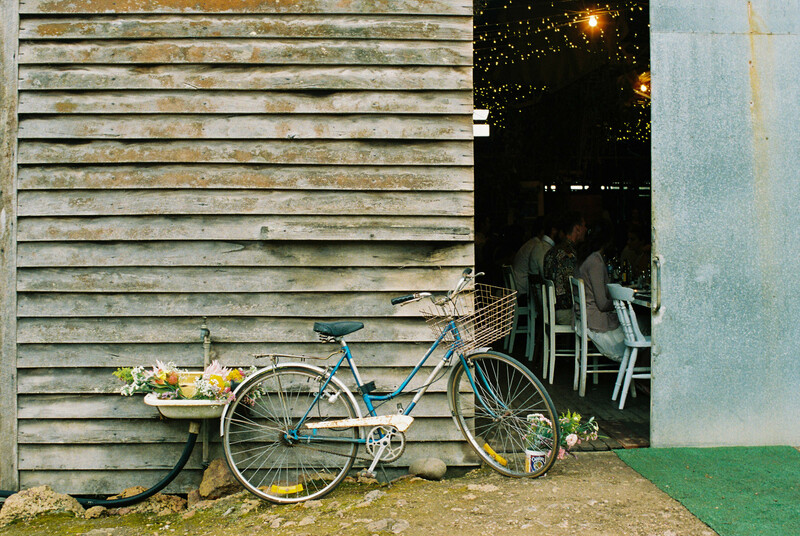 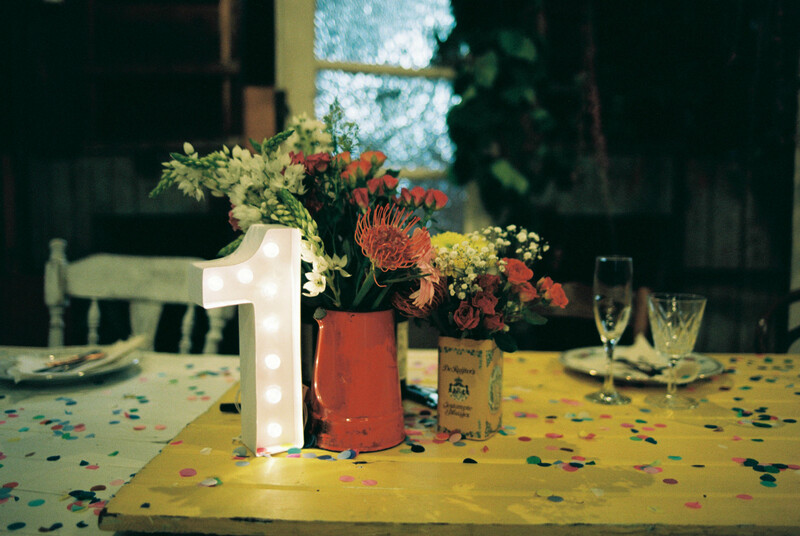 If you’re interested in having me photograph your wedding – analogue or digital – please do get in contact! 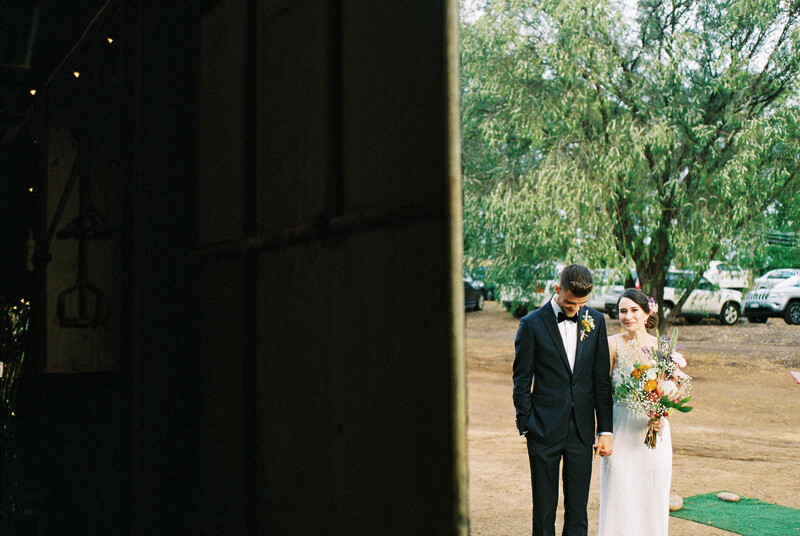 I’d love to capture your day for you & yours to look back on for years to come! 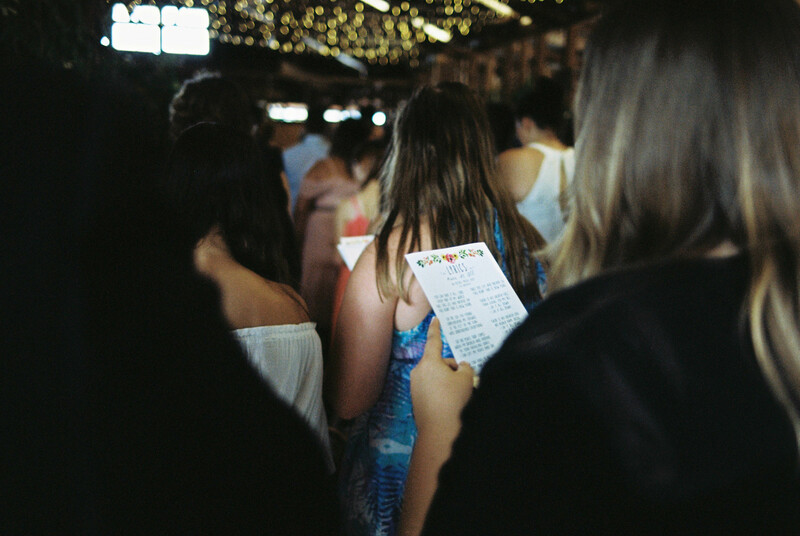 Thoughts from a Brisbane Food Court: Gone Adventuring. 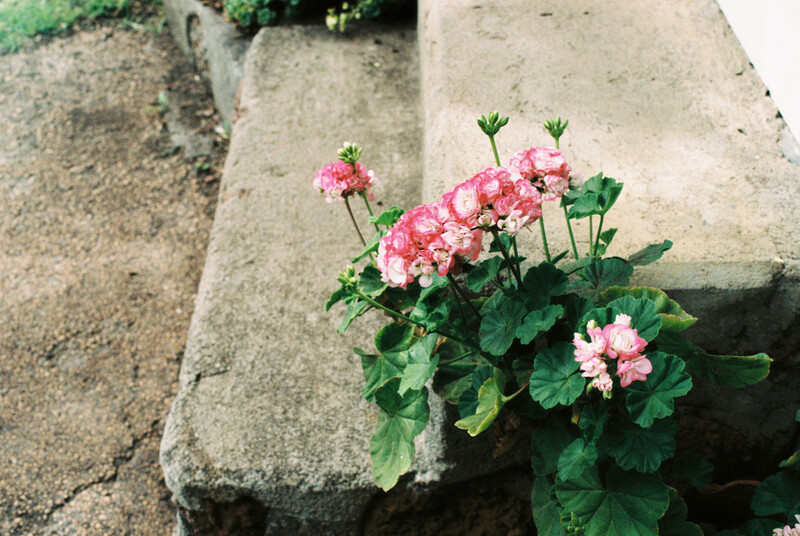 From the City of Angels to the Golden Gate: A photo journal.